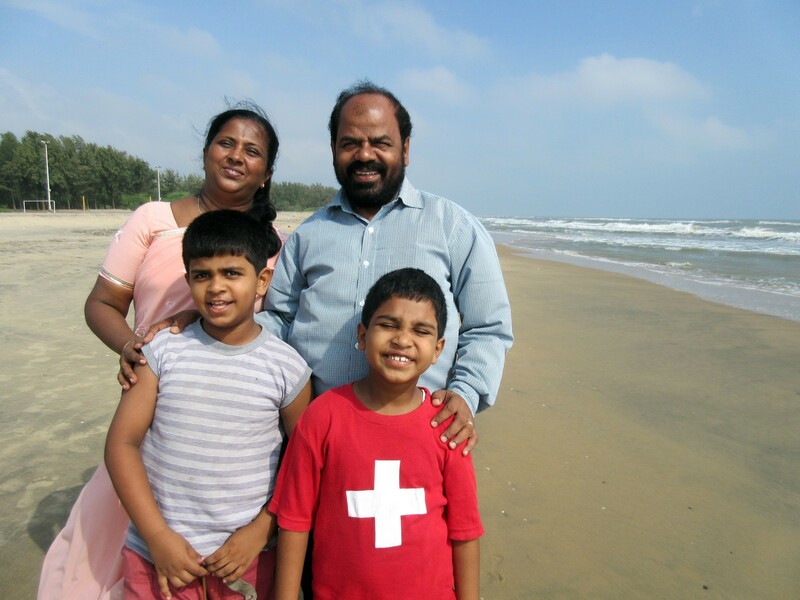 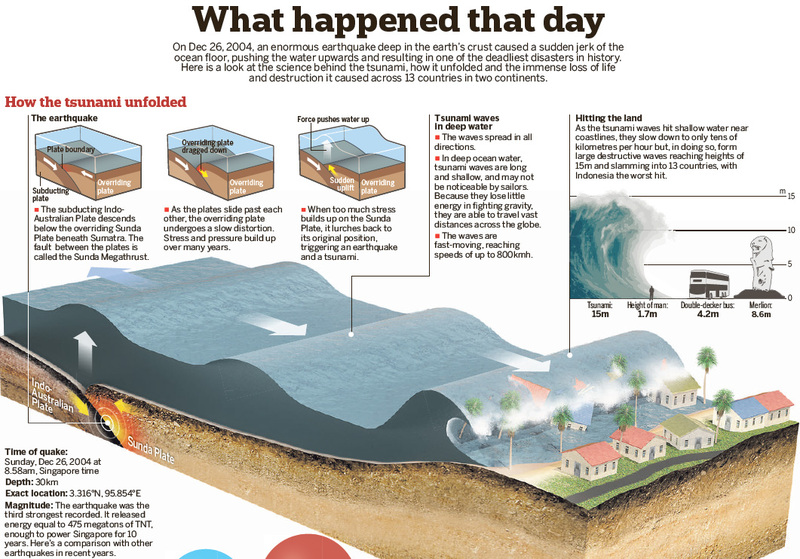 COLOMBO - Wanigaratne Karunatilleke knew nothing about tsunamis before a wave of water slammed into his train on the Sri Lankan coast a decade ago, killing more than a thousand people. 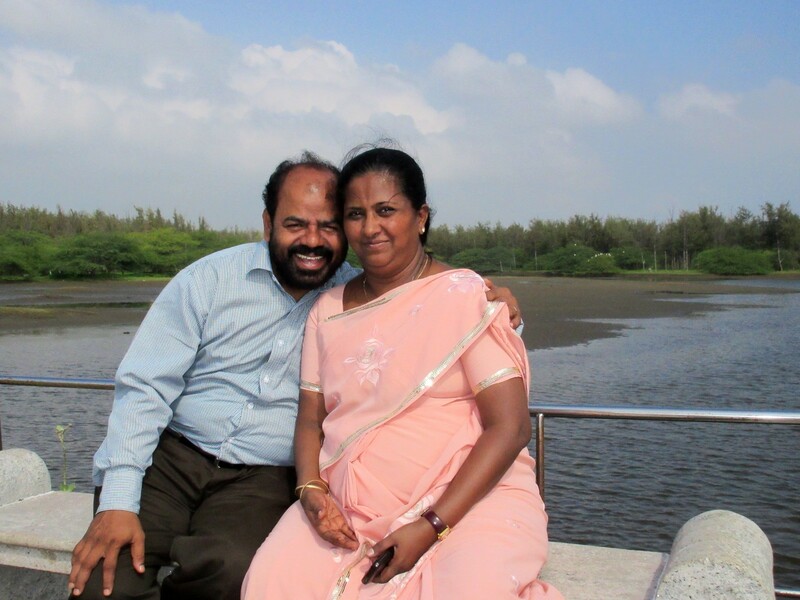 With a little more knowledge, the 58-year-old train guard now believes he could have helped the victims of Sri Lanka's worst tragedy escape to safety. 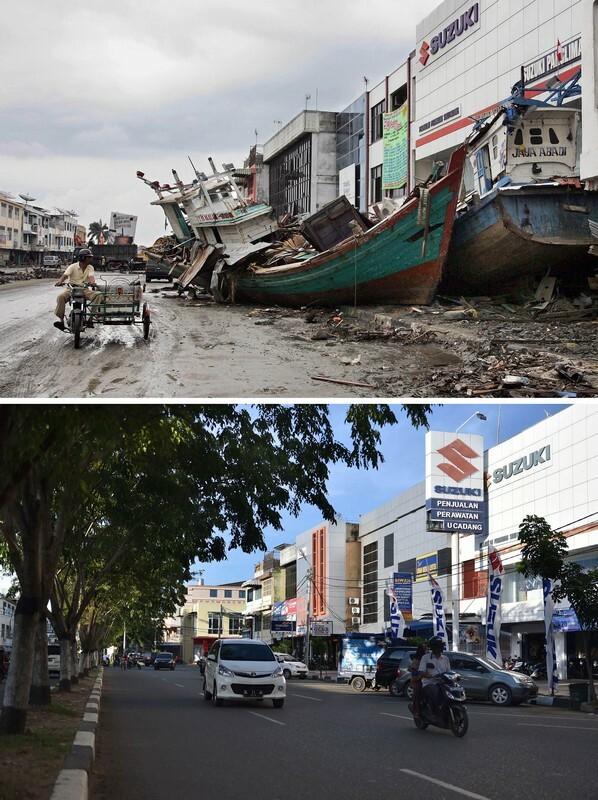 Karunatilleke was among the few survivors of the disaster on the Ocean Queen Express, which has become a symbol of the disaster in Sri Lanka, and will be at the centre of commemorations for the country's 31,000 victims on Friday. 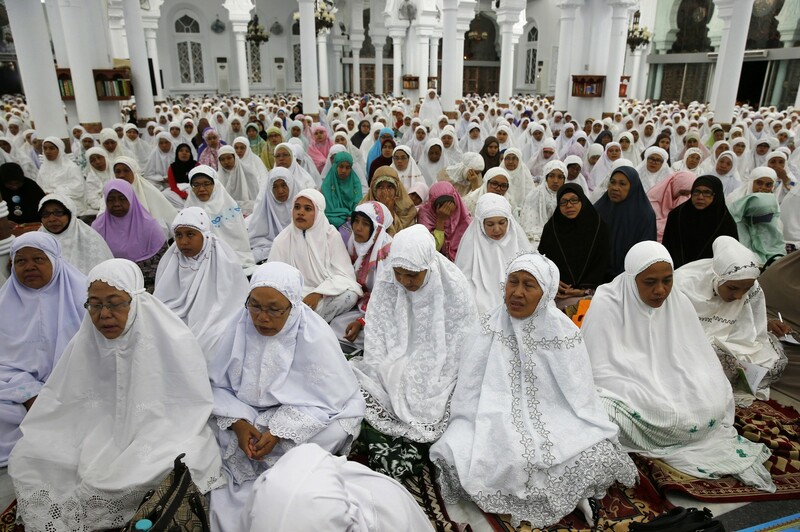 Acehnese women attend a mass prayer for the 2004 tsunami victims at Baiturrahman Grand Mosque in Banda Aceh, December 25, 2014. 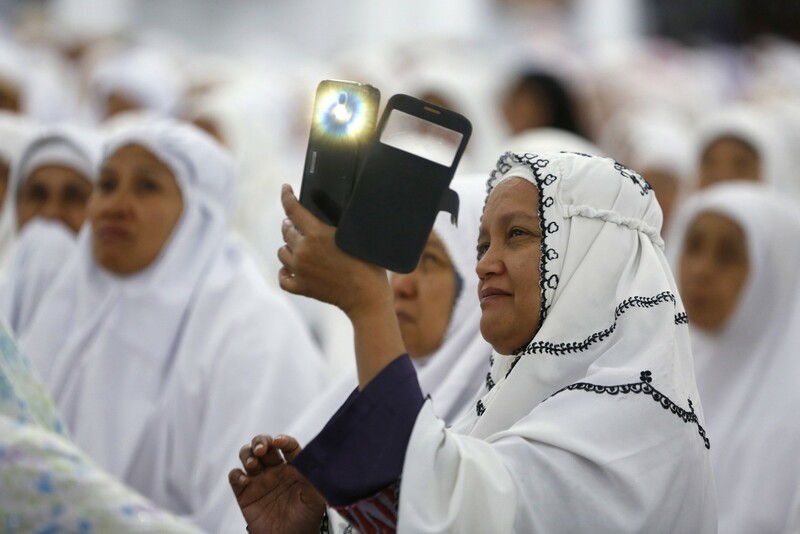 An Acehnese woman uses her smartphone to take pictures as she attends a mass prayer for the 2004 tsunami victims at Baiturrahman Grand Mosque in Banda Aceh, December 25, 2014. 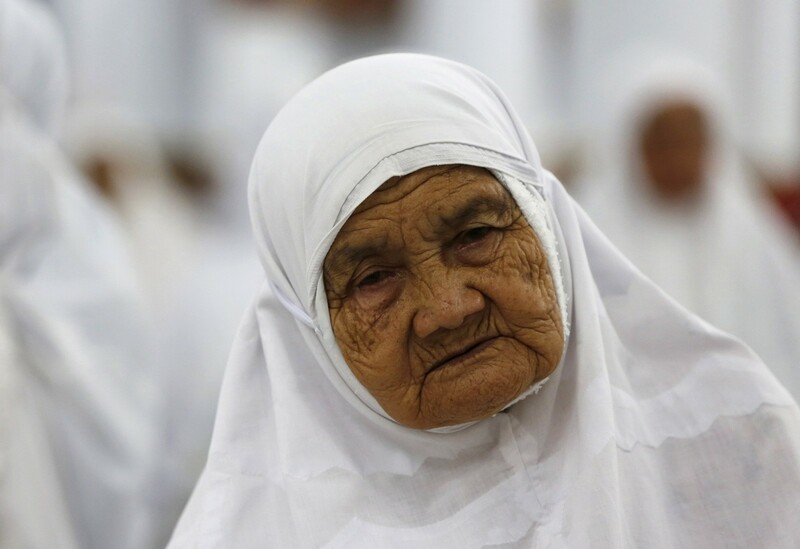 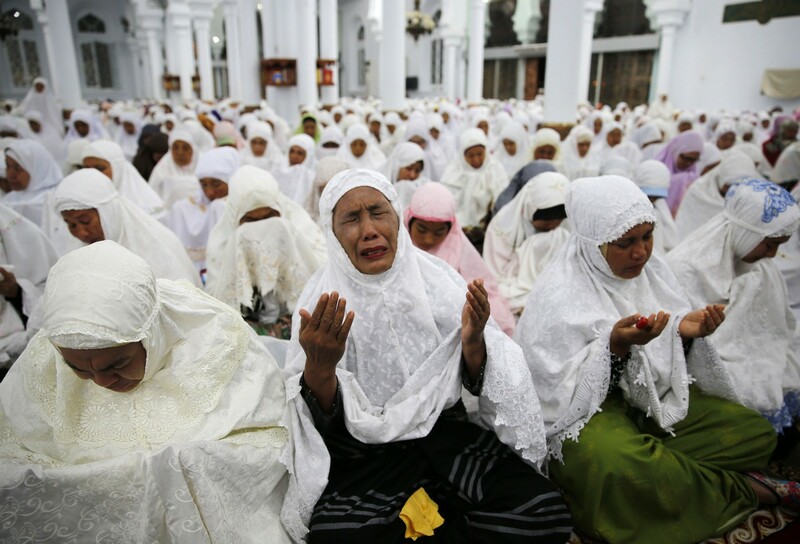 An Acehnese woman cries as she attends a mass prayer for the 2004 tsunami victims at Baiturrahman Grand Mosque in Banda Aceh, December 25, 2014. 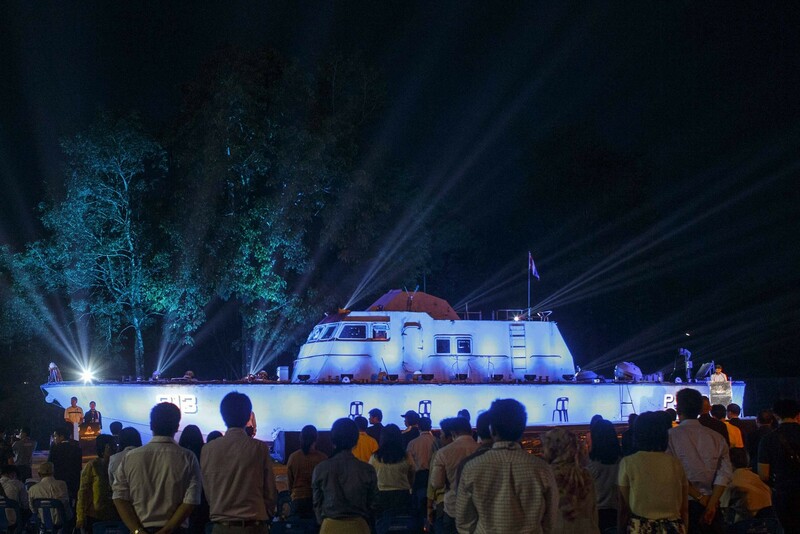 People look on ahead of the tenth anniversary of the 2004 tsunami at the police boat T813 tsunami memorial in Khao Lak, Phang Nga province December 25, 2014. 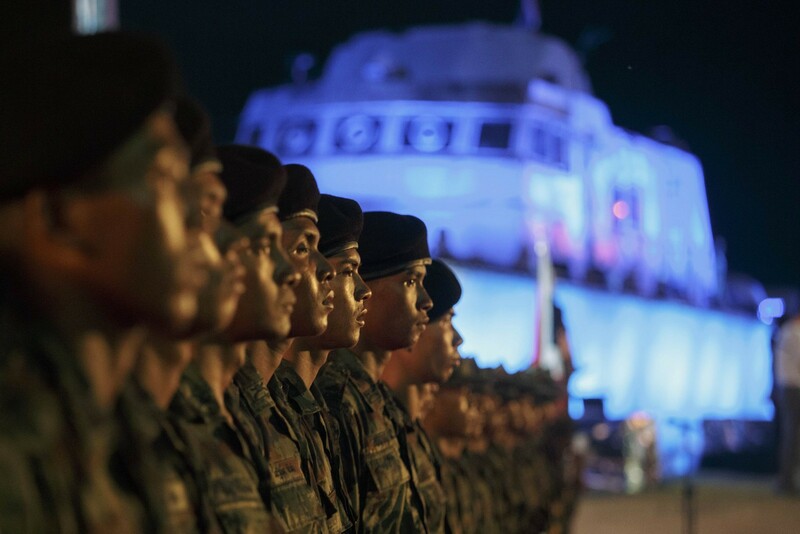 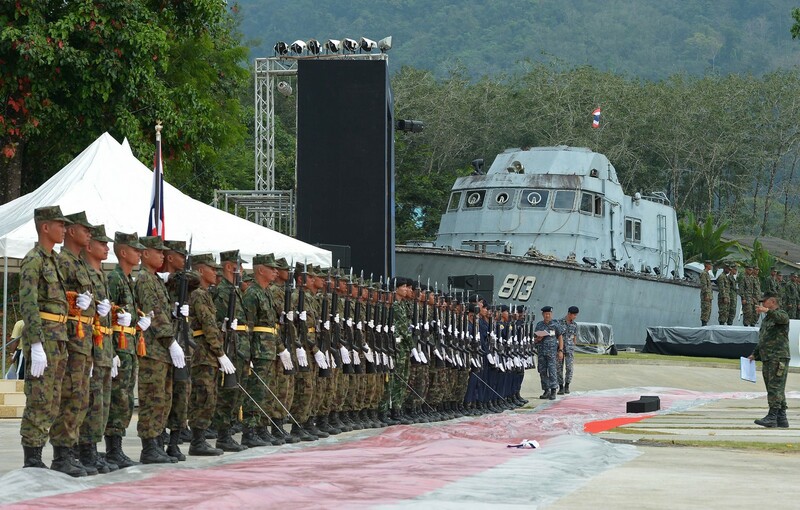 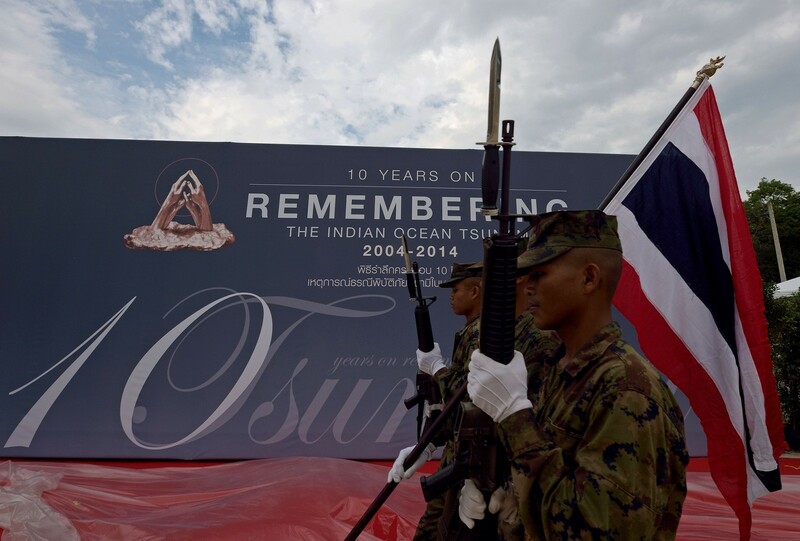 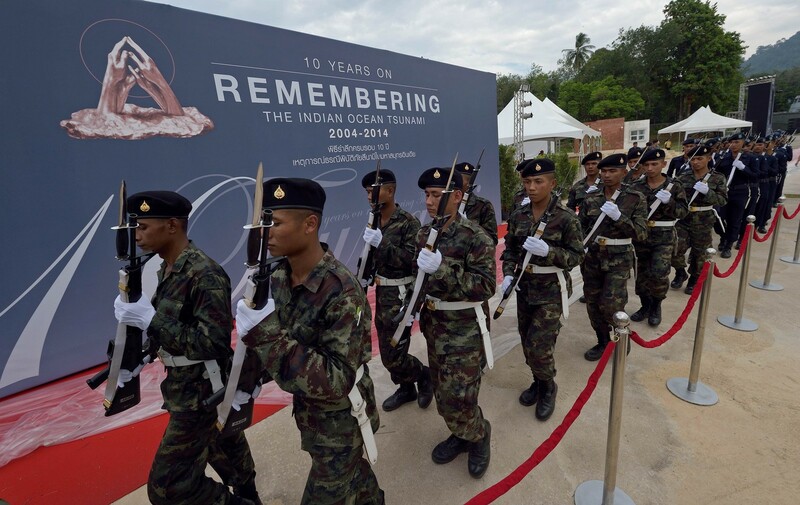 Thai soldiers stand guard near a large banner as they practice ahead of the tenth anniversary of the 2004 tsunami at the police boat T813 tsunami memorial in Khao Lak, Phang Nga province December 25, 2014. 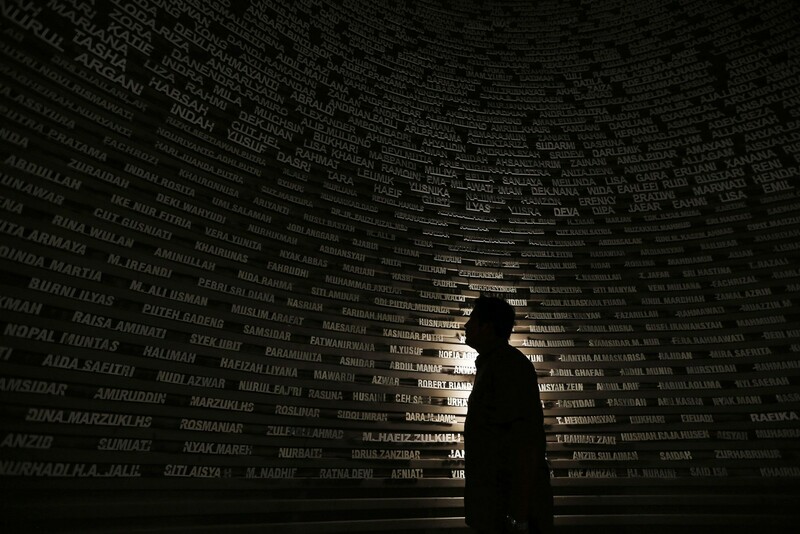 A worker looks at names of the 2004 tsunami victims on a wall at the Aceh Tsunami Museum during preparations for a ceremony in Banda Aceh December 25, 2014. 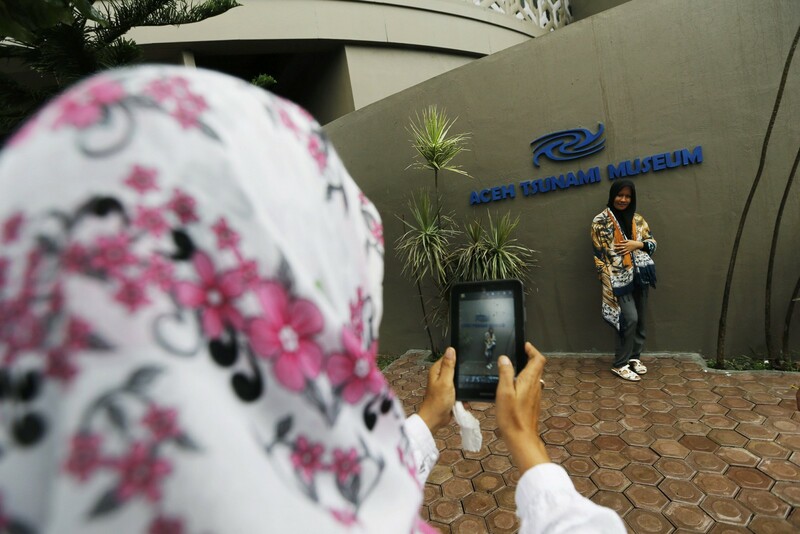 A woman takes pictures of her daughter in front of the Aceh Tsunami Museum in Banda Aceh, December 25, 2014. 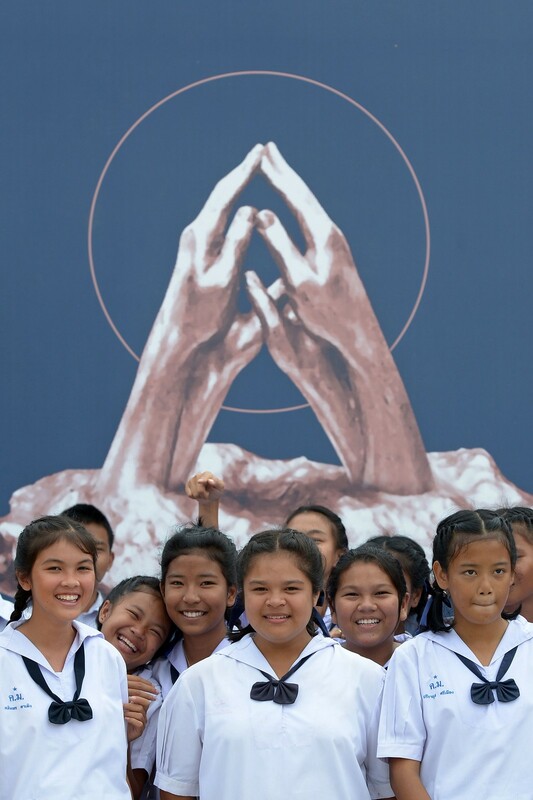 Thai students stand in front of a large poster ahead of the tenth anniversary of the 2004 tsunami at the police noat T813 tsunami memorial in Phang-nga province on December 25, 2014. 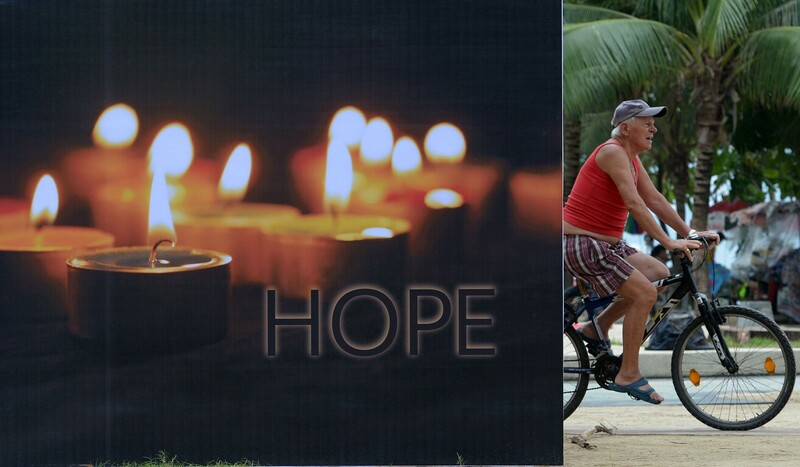 A tourist rides a bicycle past a large poster ahead of the tenth anniversary of the 2004 tsunami at Patong beach in Phuket province on December 25, 2014. 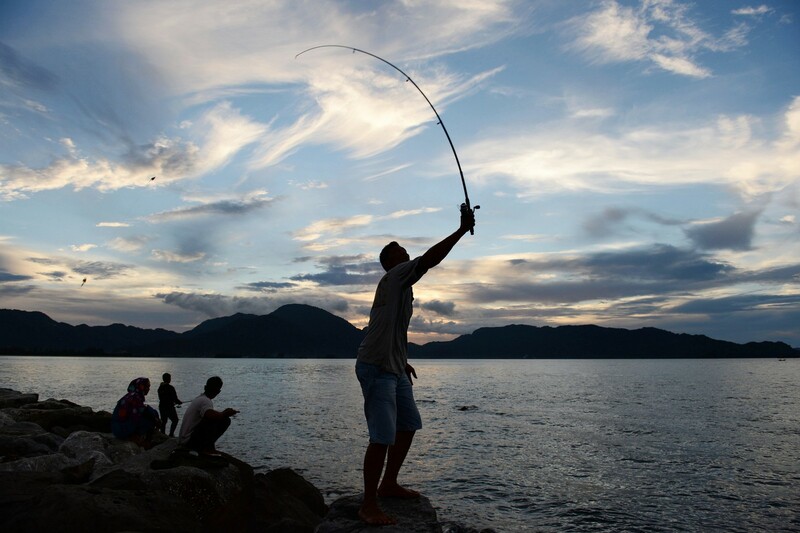 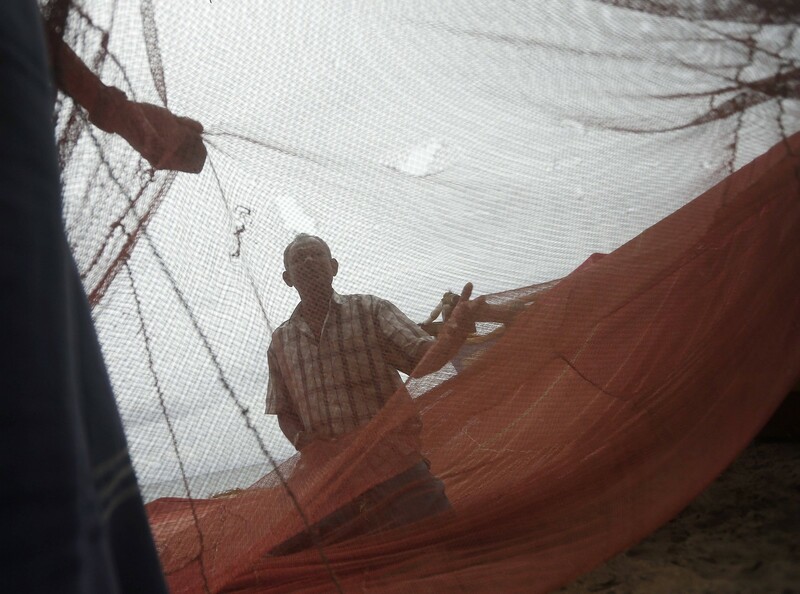 Fishermen inspect their fishing net on the beach in Seenigama December 20, 2014. 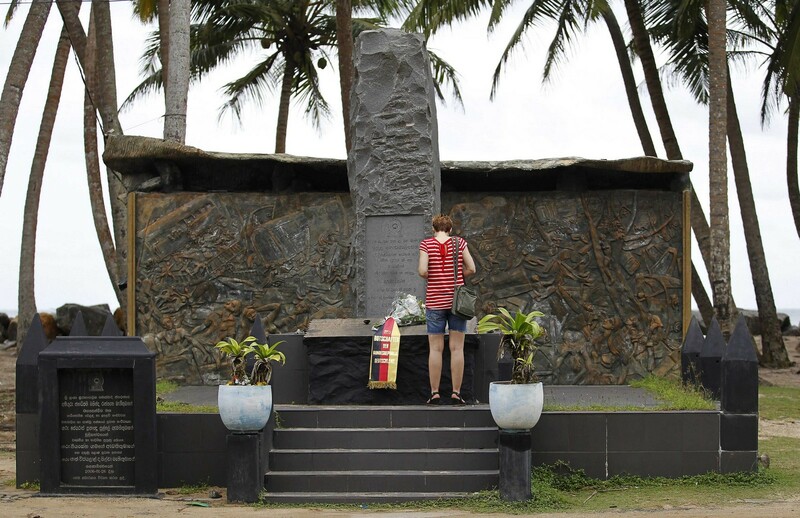 A tourist stands in front of the Tsunami memorial in Pereliya December 20, 2014. 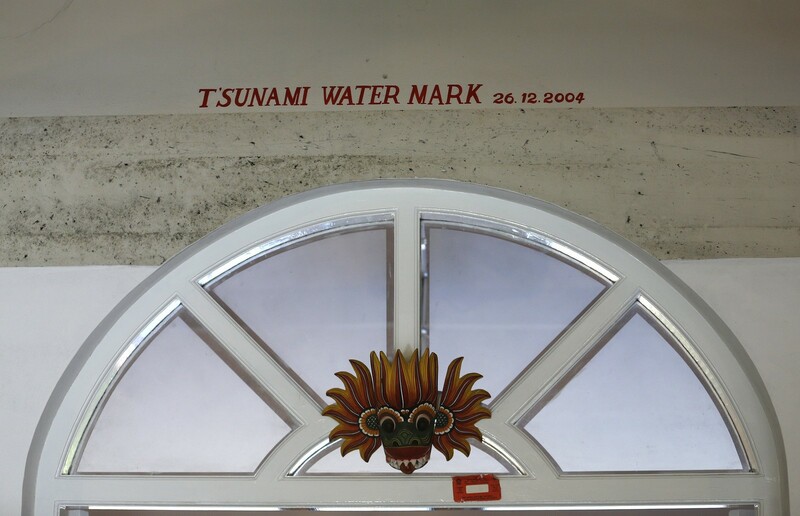 The water level of the 2004 Tsunami is seen marked above a main door at The Foundation of Goodness village project in Seenigama December 20, 2014. 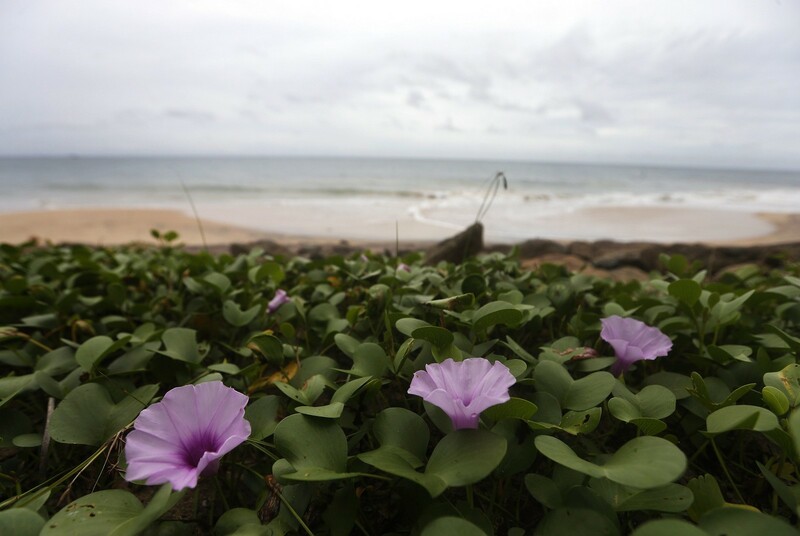 Flowers are seen on the beach in Seenigama December 20, 2014. 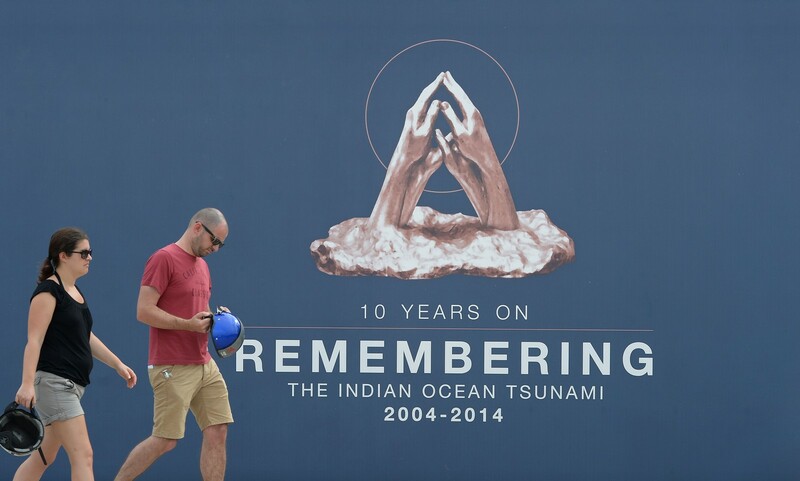 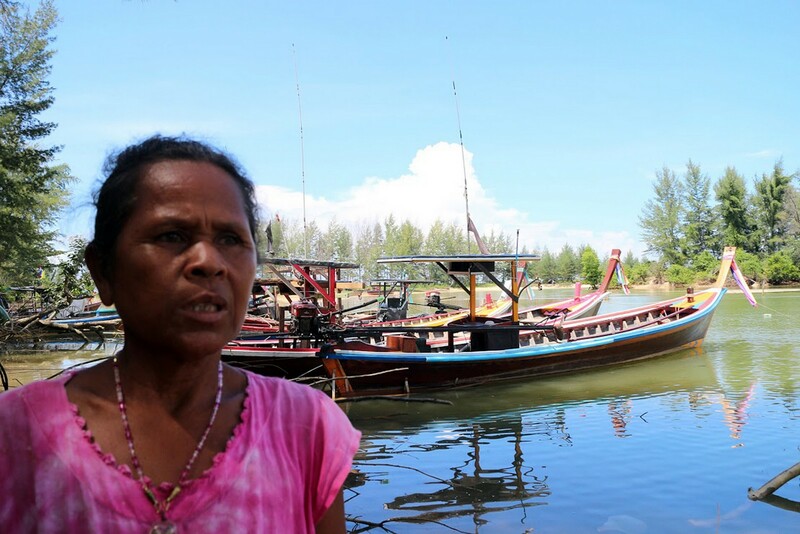 Ten years after the deadliest tsunami on record wrought destruction across the Indian Ocean, authorities fear creeping complacency is undermining a hi-tech warning system to prevent similar losses in the future. 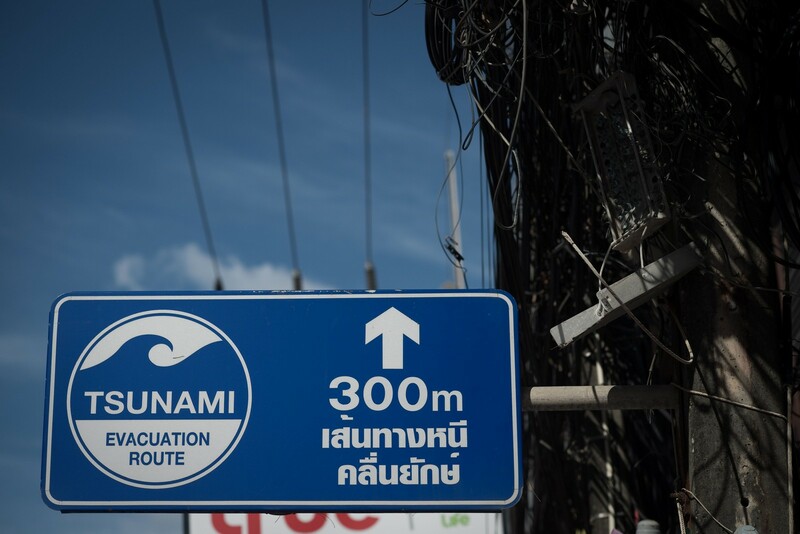 In this picture taken on December 4, 2014, a tsunami evacuation sign is displayed on a street near Patong beach in Phuket. 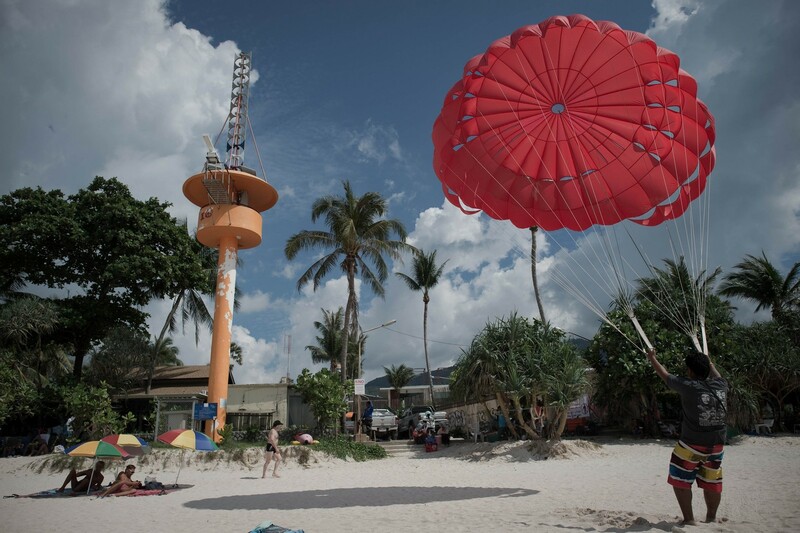 In this picture taken on December 1, 2014, a man raises a parachute near a tsunami emergency tower (L) on Patong beach in Phuket. 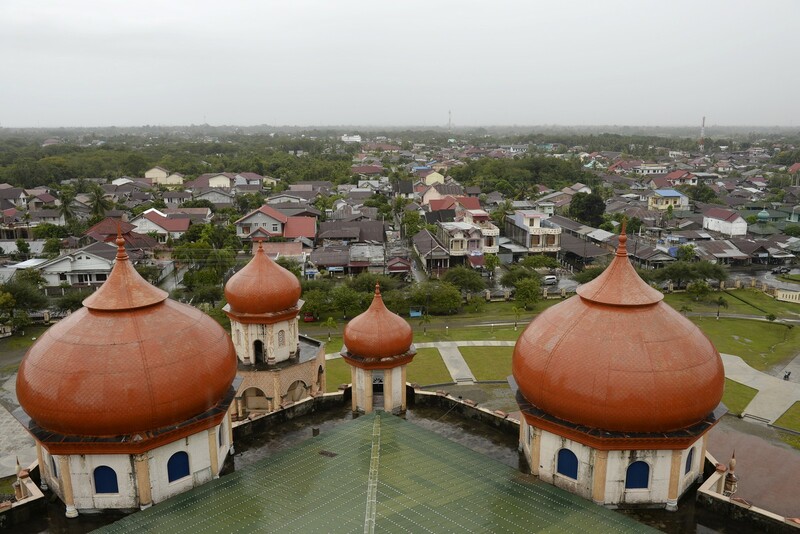 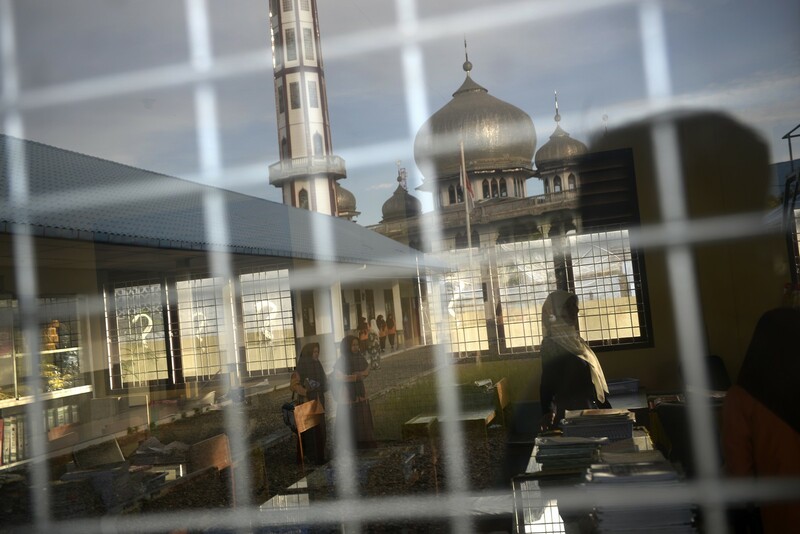 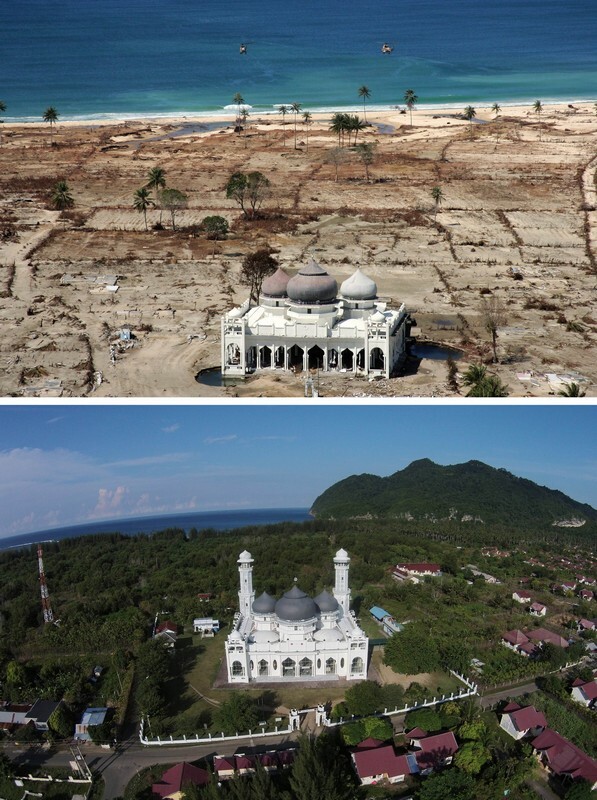 Rows of new houses and beautiful mosques with glittering minarets give little clue that the sleepy Indonesian fishing town of Meulaboh was the ground zero of the 2004 Asian tsunami, highlighting the success of a multi-billion-dollar reconstruction effort. 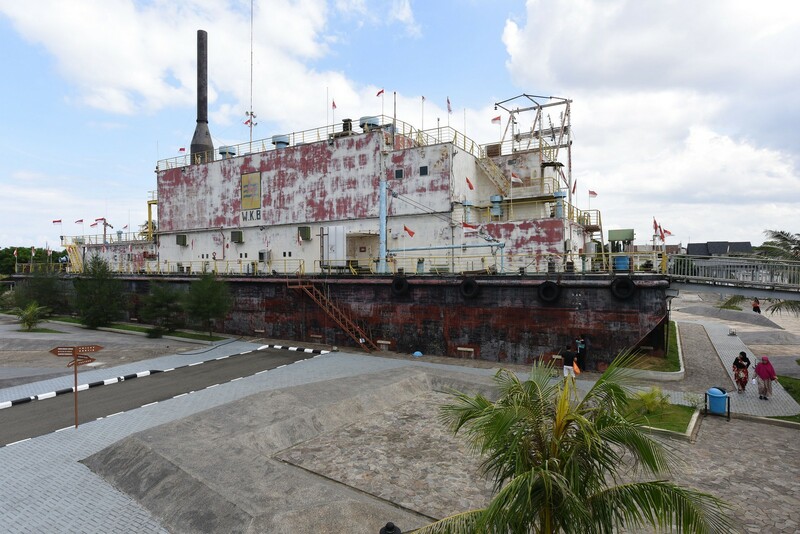 The PLTD Apung 1, a generator ship washed ashore by the Indian Ocean tsunami of 2004, stands in Punge Blang Cut, Aceh province, Indonesia, on Thursday, Dec. 11, 2014. 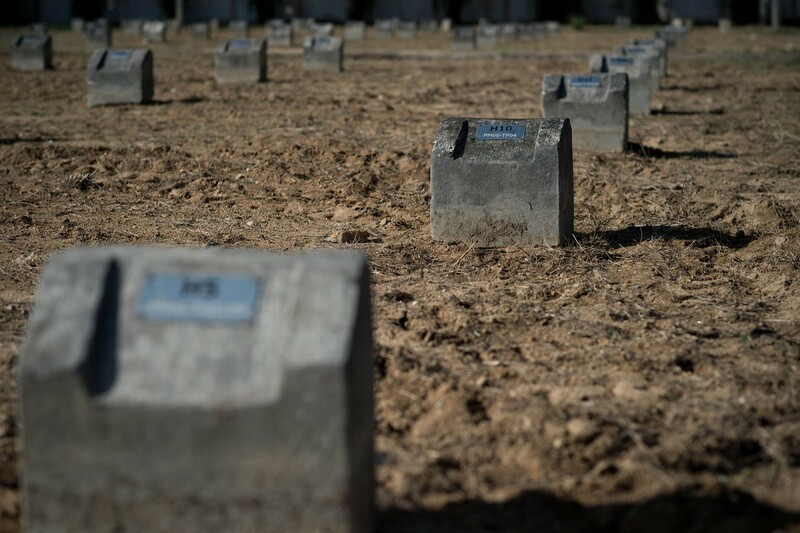 Unmarked graves are seen in Bang Muang tsunami victim cemetery, in Phang Nga southwestern Thailand. 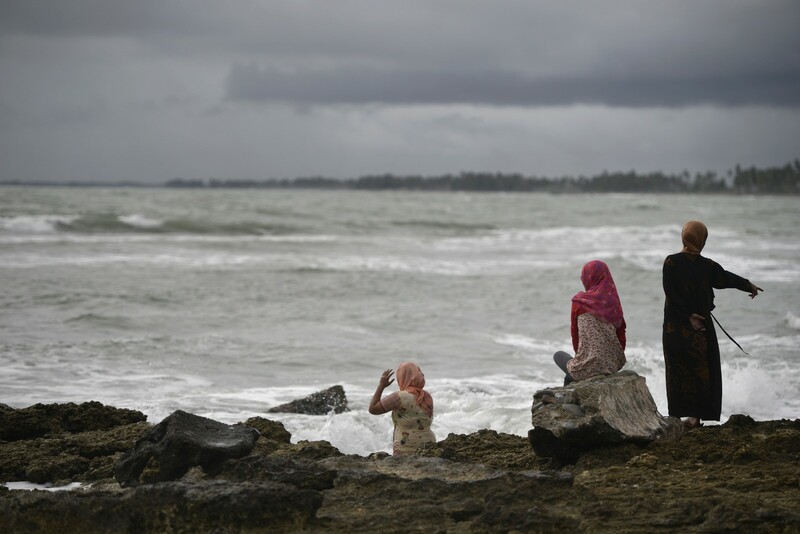 Shortly before the tsunami hit, he says, the train was brought to an abrupt halt by a wave just after Kahawa station, 90 kilometres (56 miles) south of the capital Colombo. 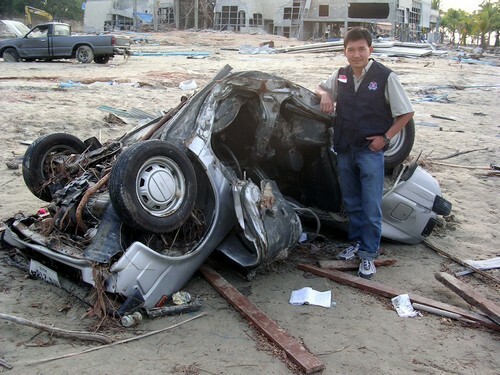 He believes the 15-minute lull that followed could have allowed passengers to escape to high ground, and blames the huge loss of life on a lack of knowledge about tsunamis. 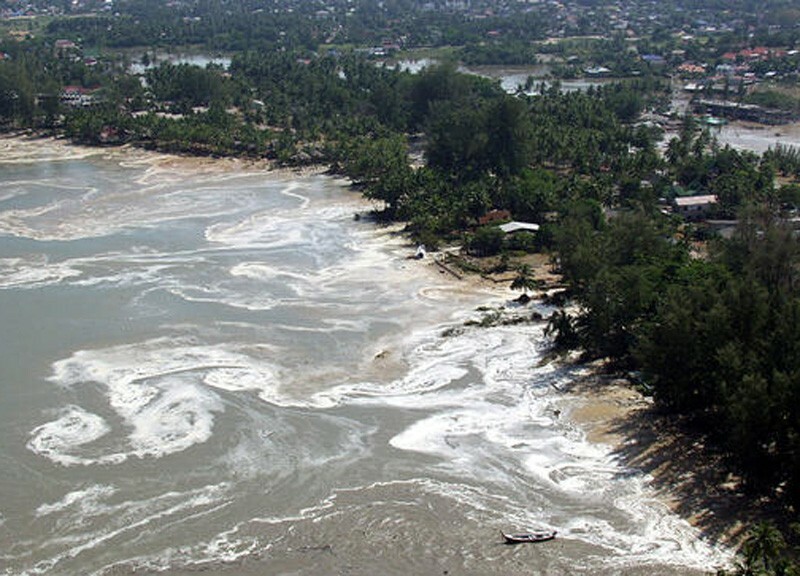 "If I had known about tsunamis," Karunatilleke told AFP in an interview. 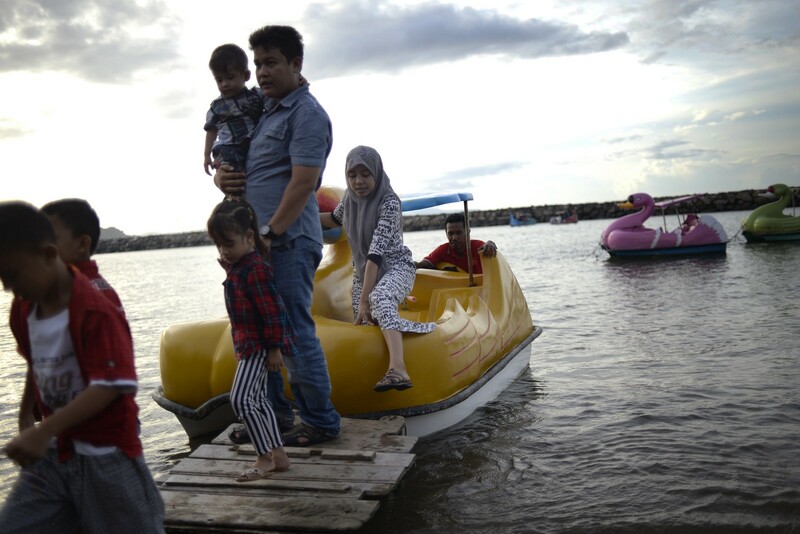 "We had about 15 minutes to move the passengers to safety. 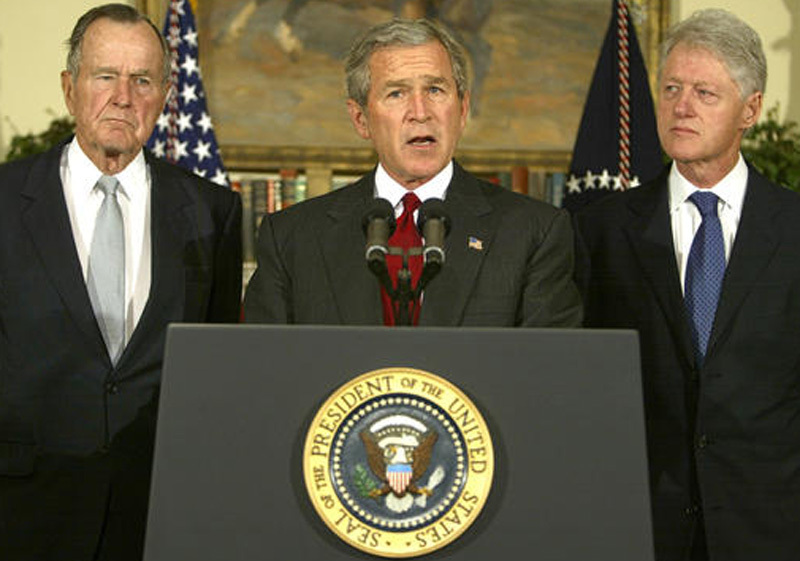 I could have done it. 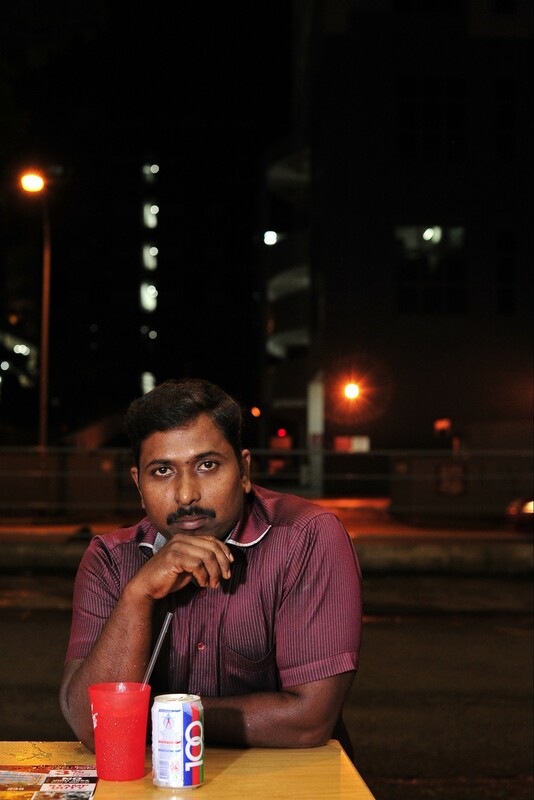 We had the time, but not the knowledge." 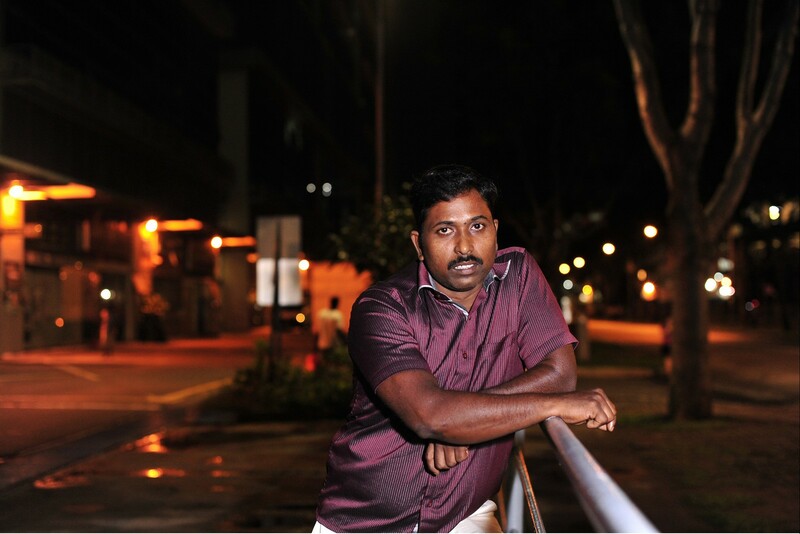 Karunatilleke, who as head guard was responsible for passengers' safety, overruled the signalling system after the first wave and ordered the driver to move, but by then it was too late. 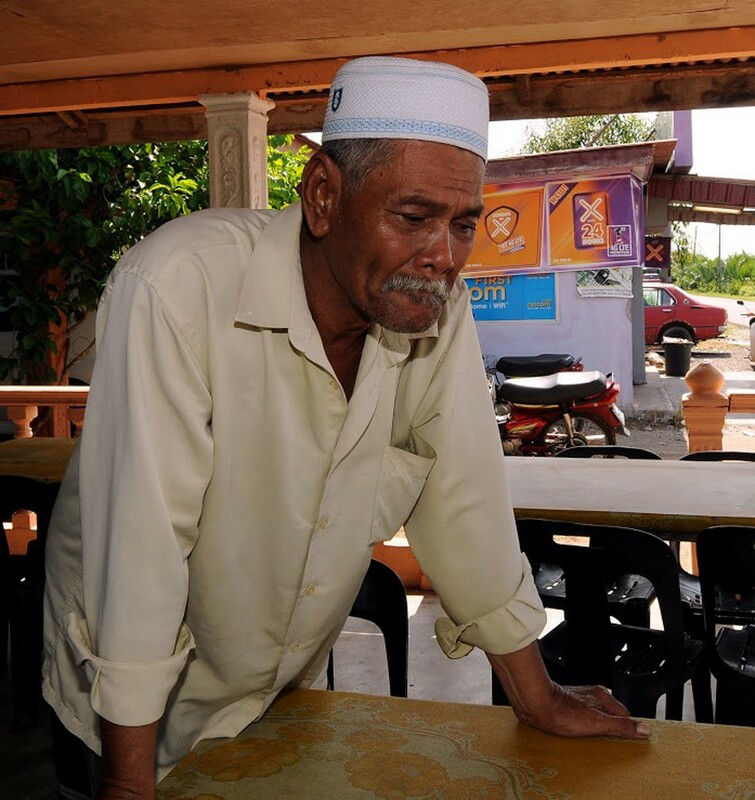 When the tsunami hit, he became trapped inside a compartment that was floating in the water, managing to escape through a window. 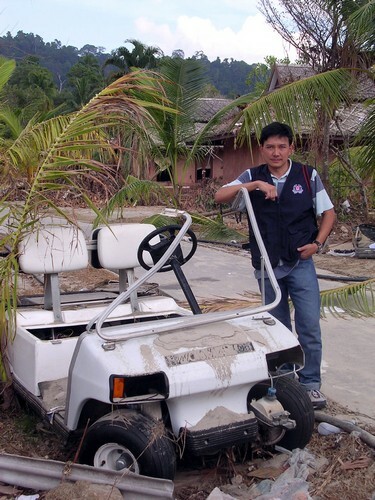 Forensic dentist Tan Peng Hui admitted to being numb with shock when he entered the makeshift mortuary in Khao Lak in Thailand, days after the 2004 tsunami. 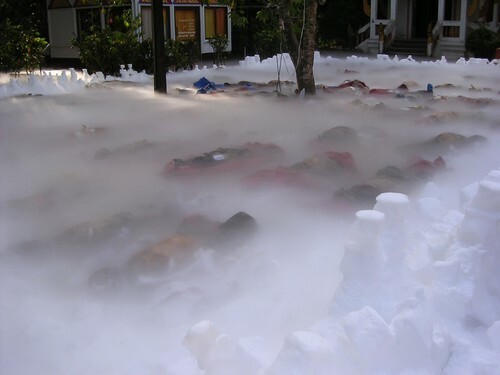 Lying in dry ice are bodies of the victims of the tsunami. 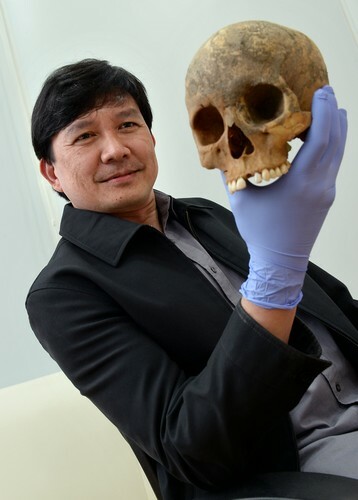 Dr Tan who was then with the Singapore Armed Forces Medical Corps, was part of the 20-man team that Singapore sent to Thailand to help identify the bodies. 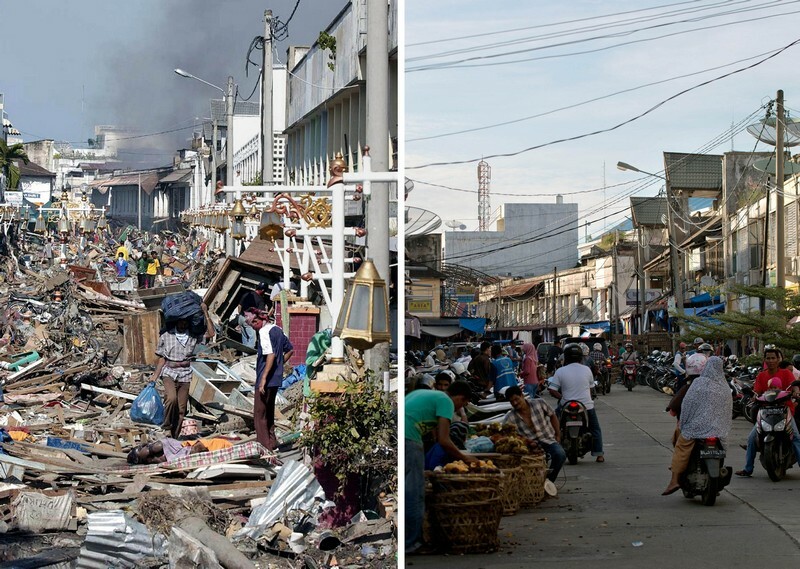 "The sight, smell and sound of death and chaos attacked all my senses. 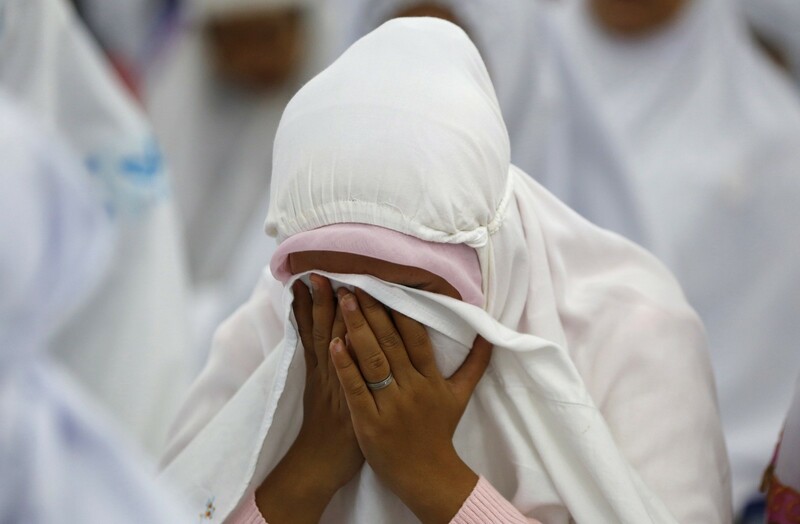 It was traumatising," he said. 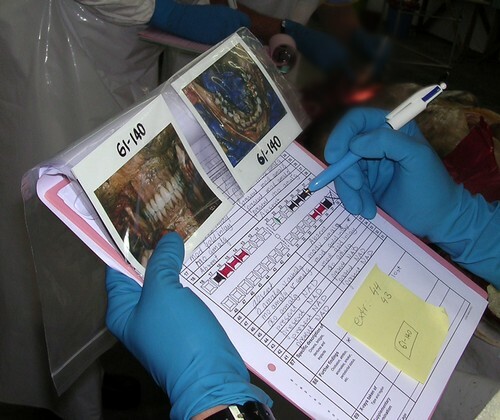 He had to examine each victim's mouth, identify the treatment that had been done, take an X-ray on both sides of the jaw, and extract two teeth as a source of DNA. 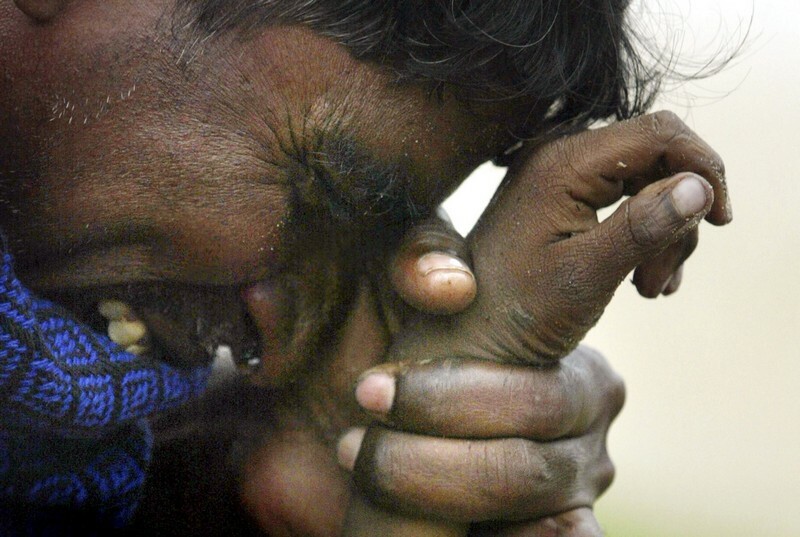 Although he tried not to let his emotions overwhelm him, he said he was most affected when he worked on the bodies of children. 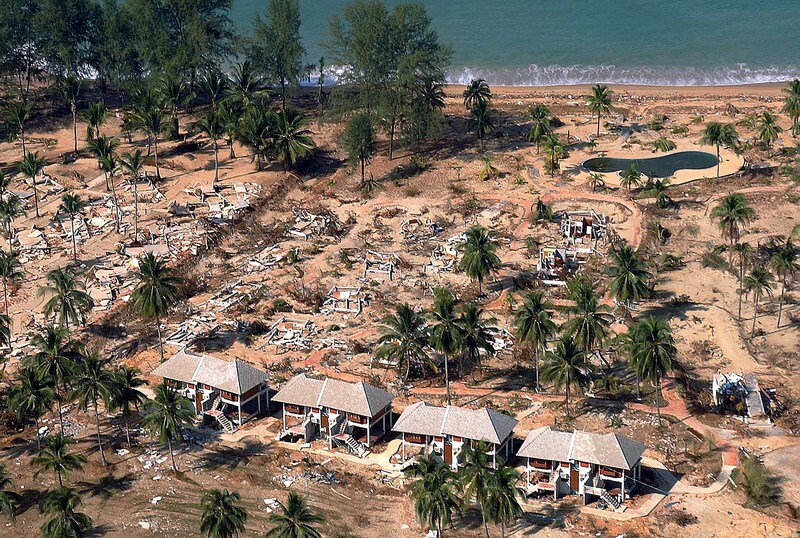 This Dec 26, 2004 photo shows tourists in Krabi, southern Thailand, caught by the first of six tsunami. 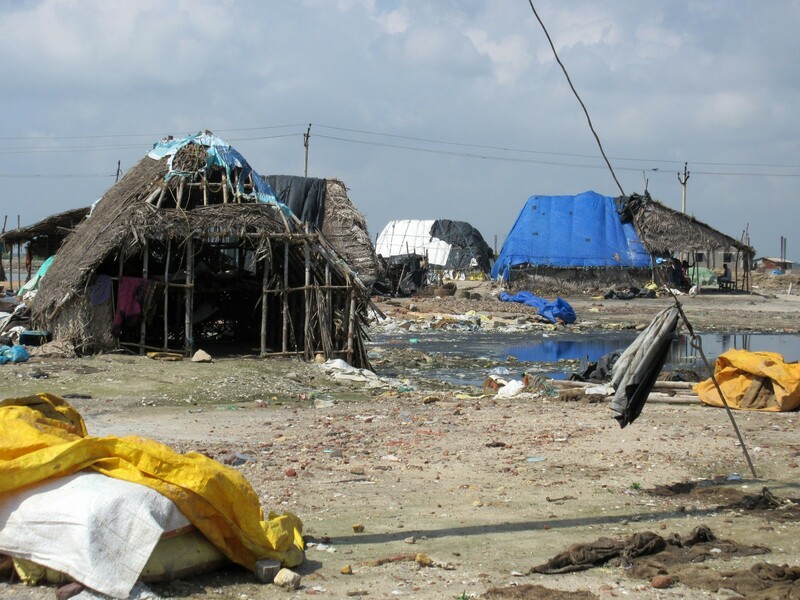 The full scale of the disaster was apparent only over the next few days. 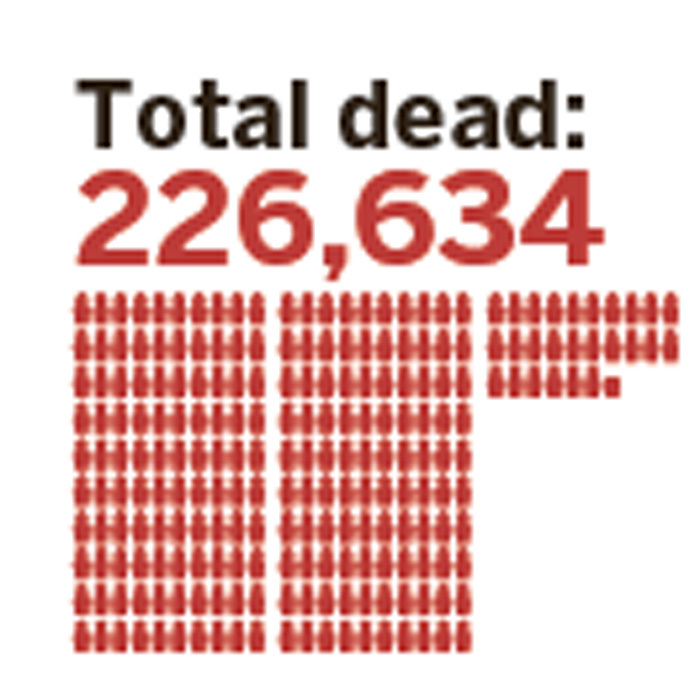 The estimated death toll more than doubles to over 22,000. 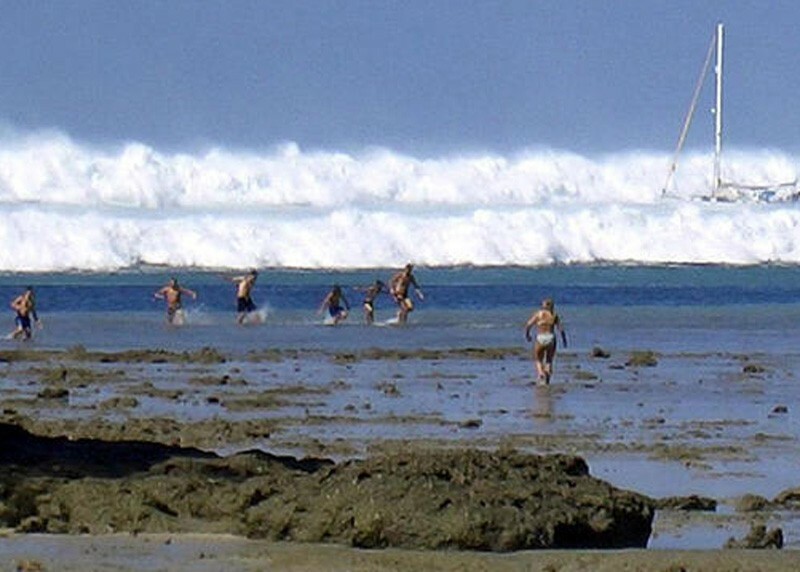 Experts warn of more giant tidal waves caused by fresh tremors. 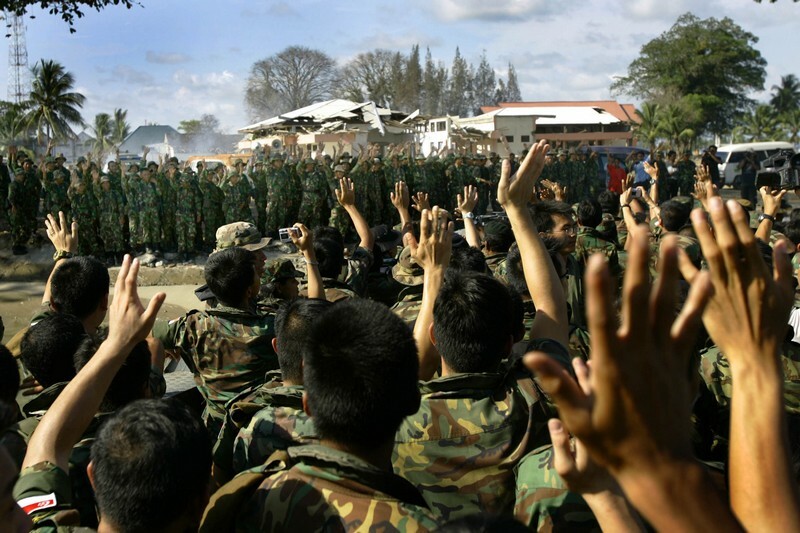 The Singapore Armed Forces (SAF) sends its first batch of supplies to support Indonesia's recovery efforts, including tents, blankets and food. 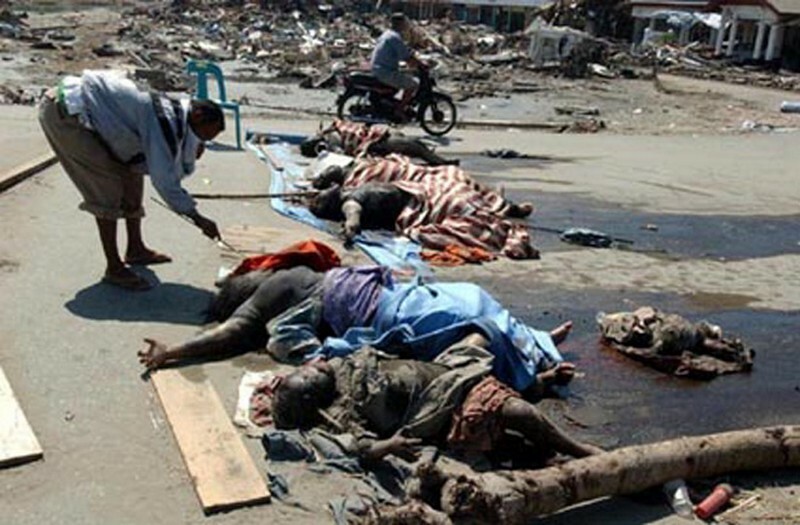 More than 80,000 now confirmed dead, with more than half from Indonesia. 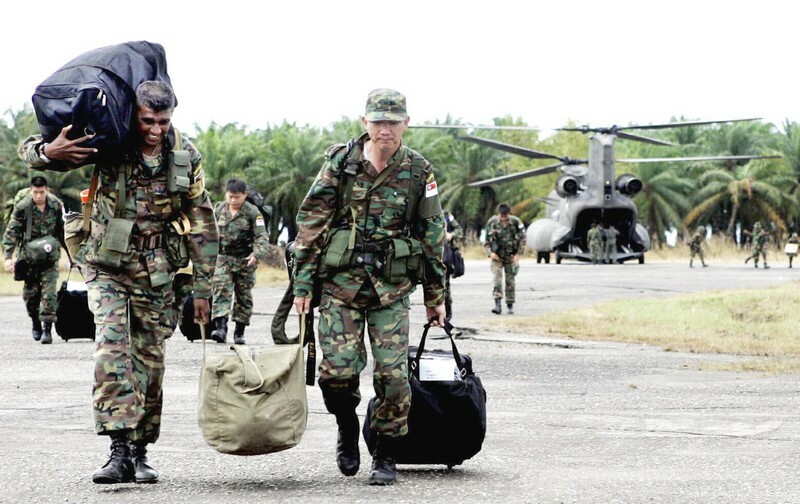 Singapore commits additional military equipment and up to 700 personnel. 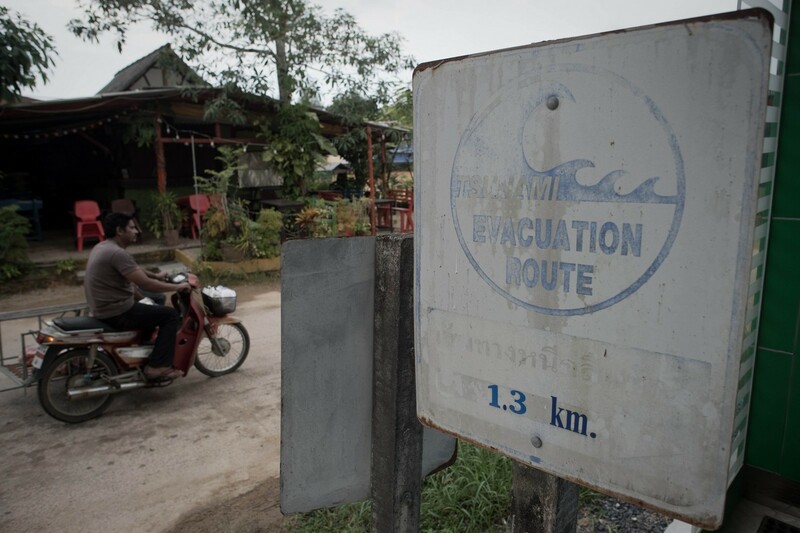 Residents flee coasts in India, Sri Lanka and Thailand, heeding warnings of new tsunamis, as strong aftershocks reverberate off Sumatra. 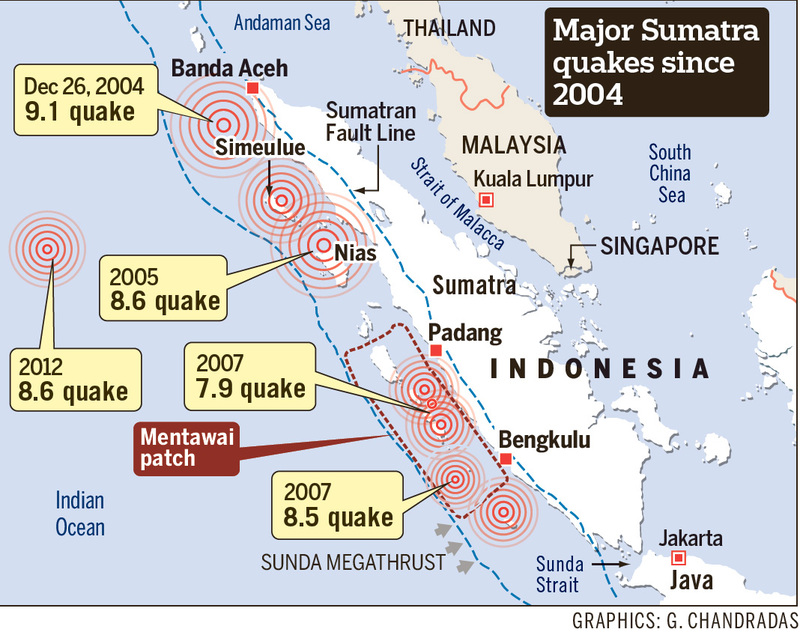 Alerts are called off later. 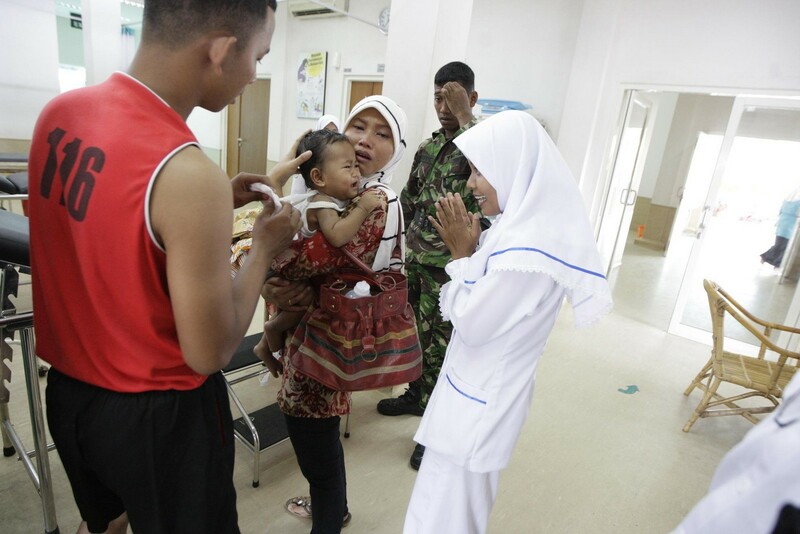 More than 100,000 confirmed dead in Indonesia alone, which brings the total death toll to over 144,000. 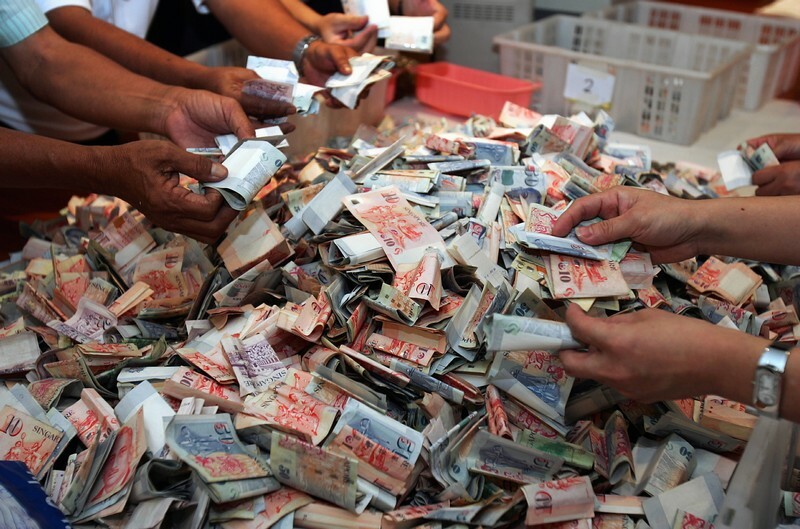 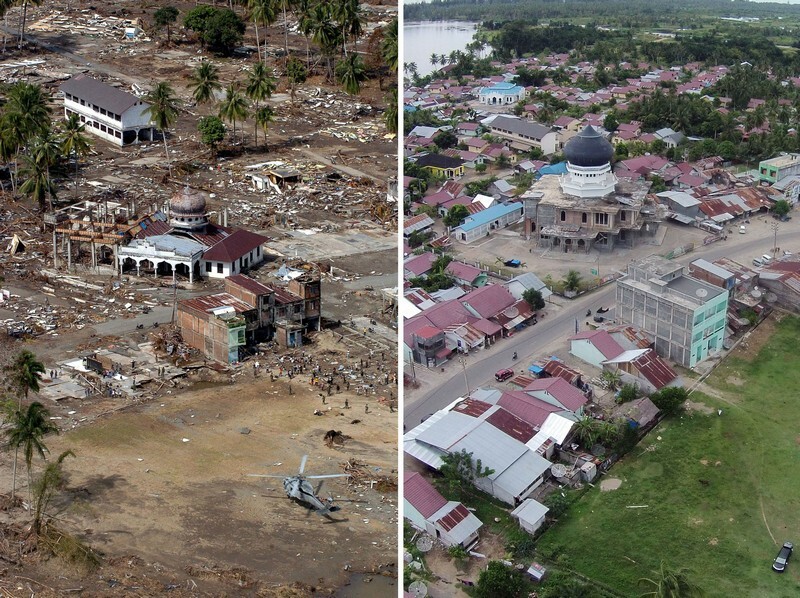 Countries around the world cancel or tone down new year festivities, some donate the money instead to tsunami victims, others observe a minute's silence and hold prayers. 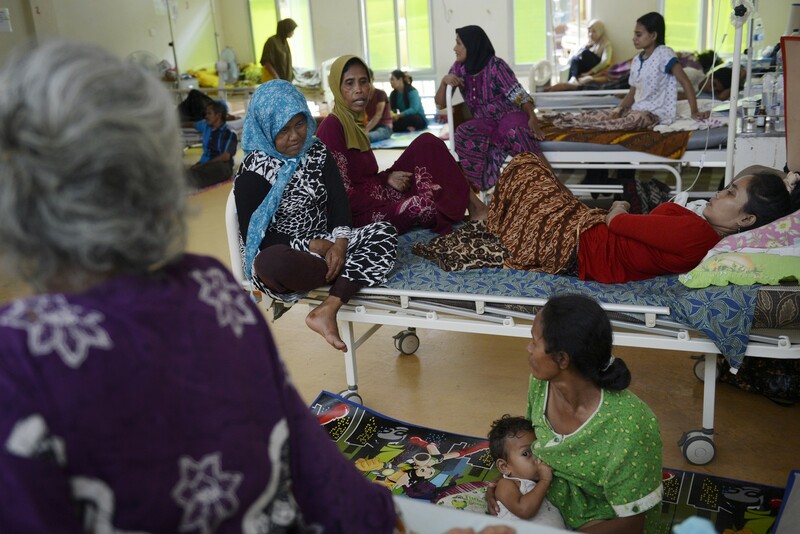 In the worst-hit area on the northern tip of Sumatra, diarrhoea, stomach problems and chest infections plague survivors and officials brace themselves for a cholera outbreak. 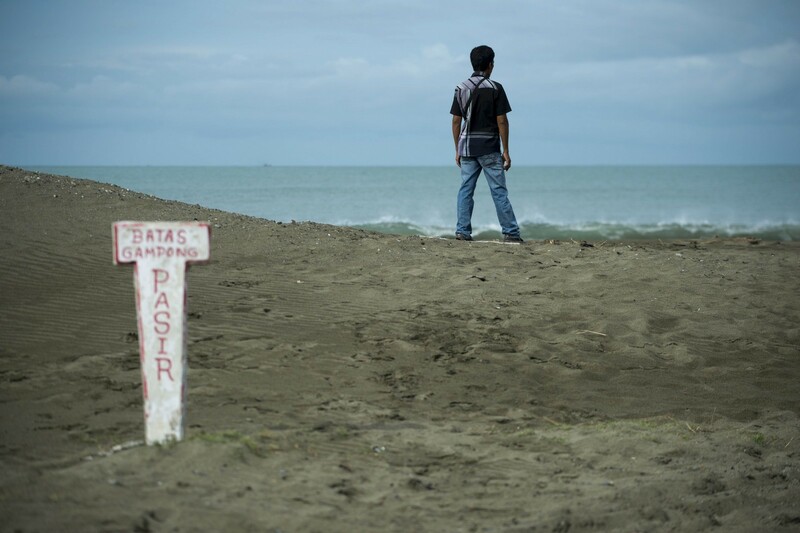 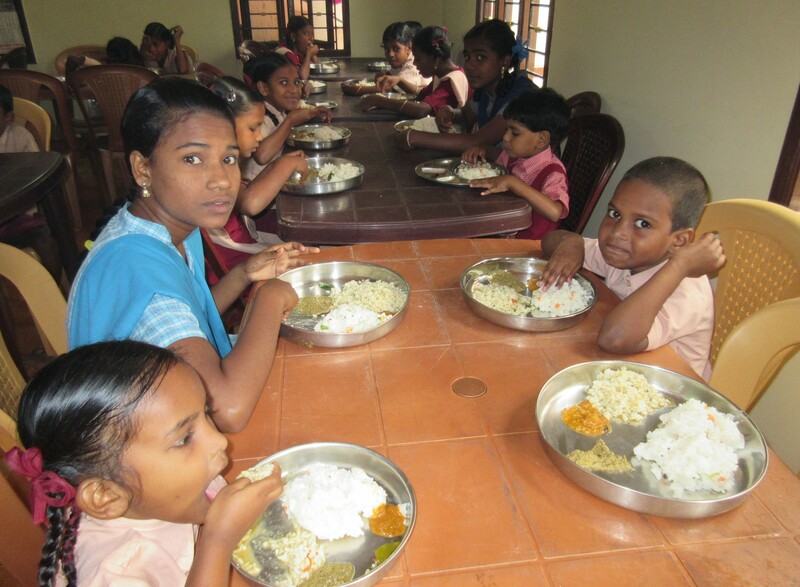 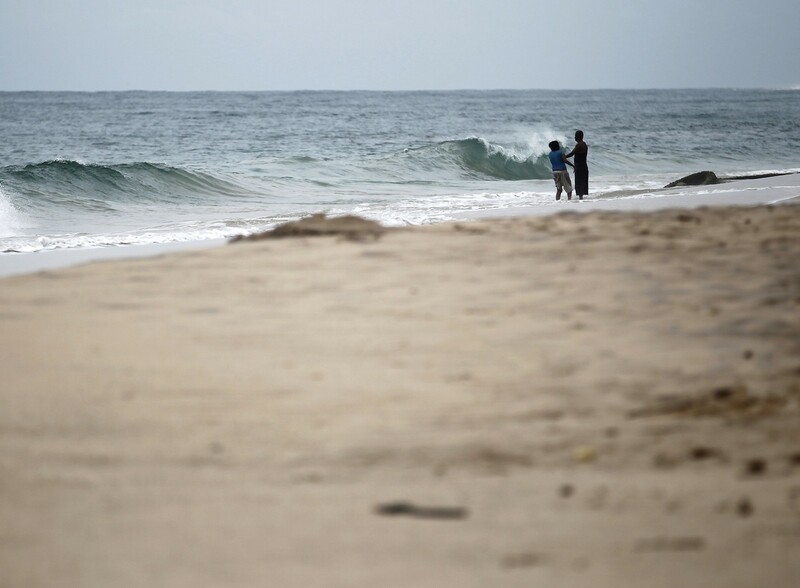 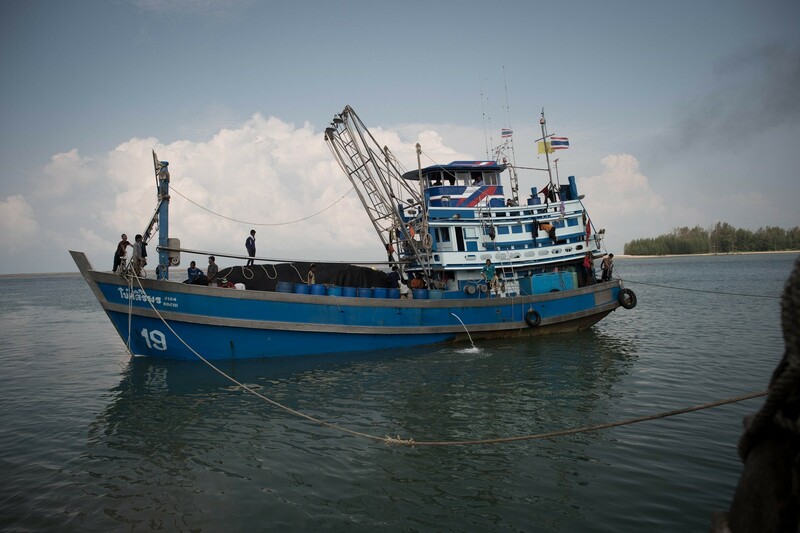 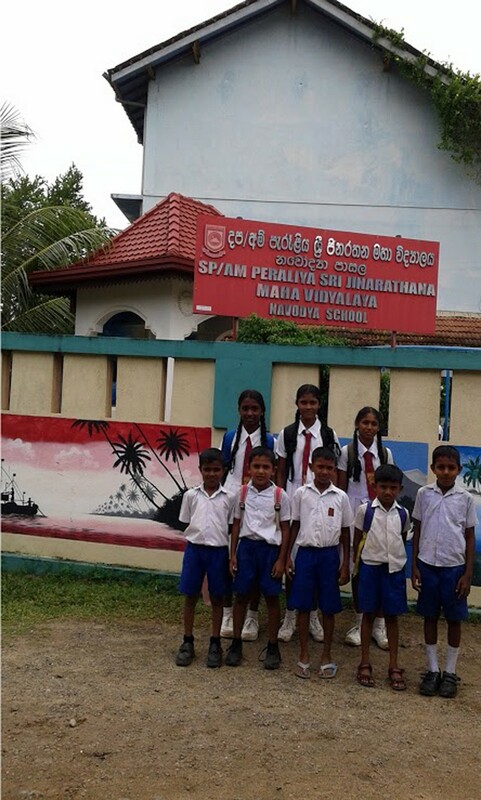 Save The Children warns that youngsters orphaned by the tsunami are vulnerable to kidnapping and sexual exploitation. 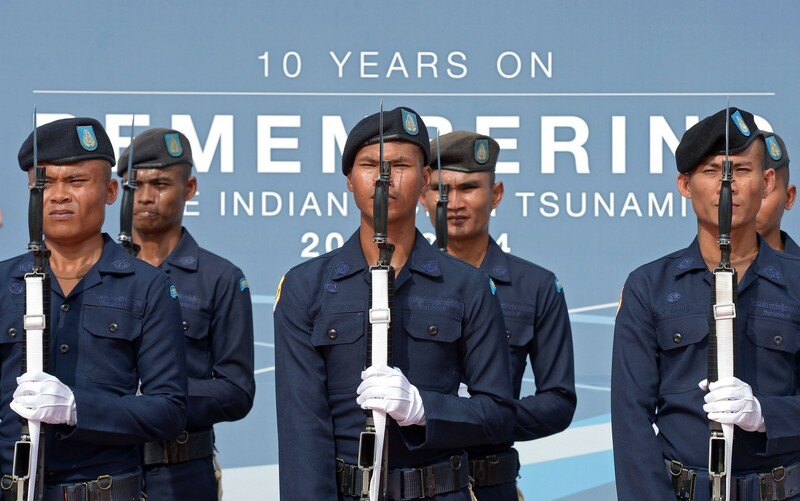 Leaders from 20 countries and six international organisations, including Asean members, the US, China, Japan and the United Nations, meet at a summit in Jakarta, and call for the setting up of a regional early-warning system in the Indian Ocean. 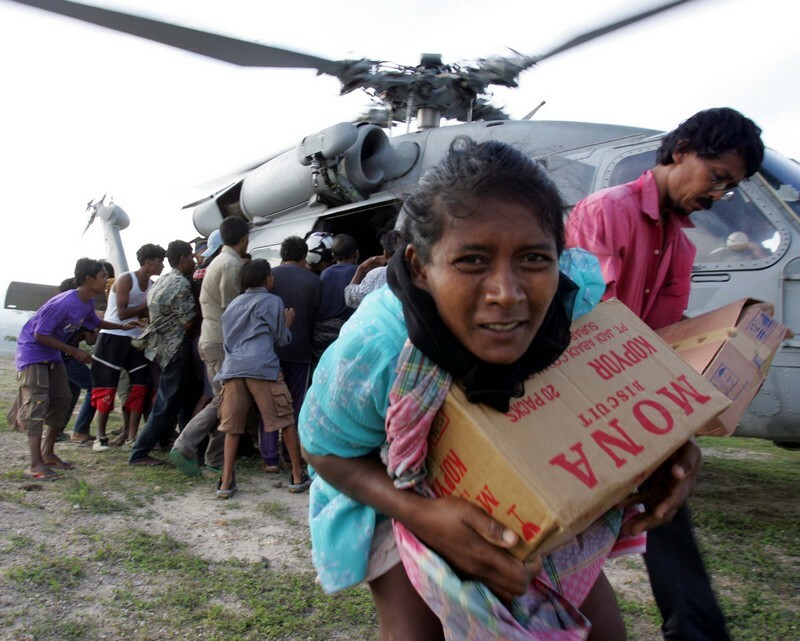 They also draw up an action plan to help affected countries. 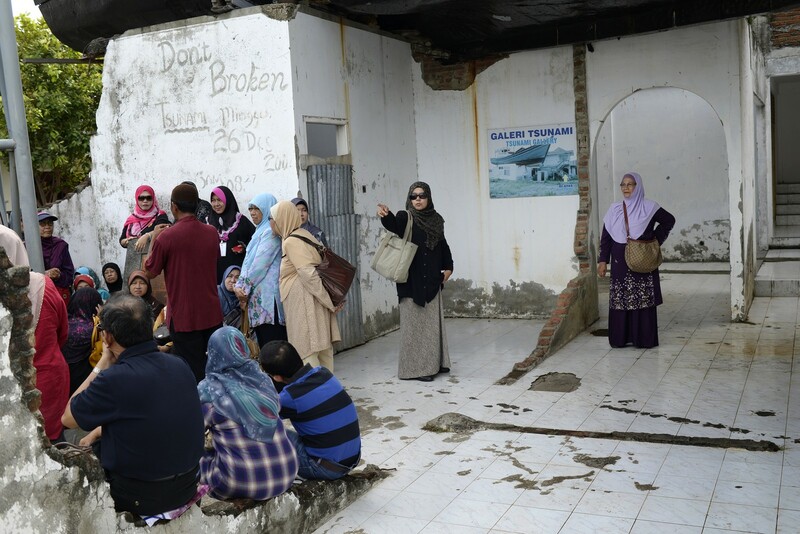 The SAF completes its relief mission in Meulaboh. 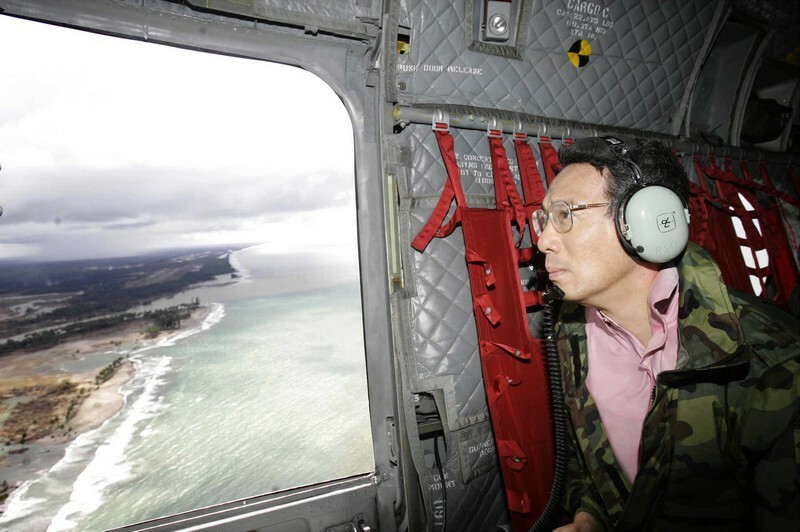 The United Nations commends Singapore for setting up landing points at the wrecked shoreline. 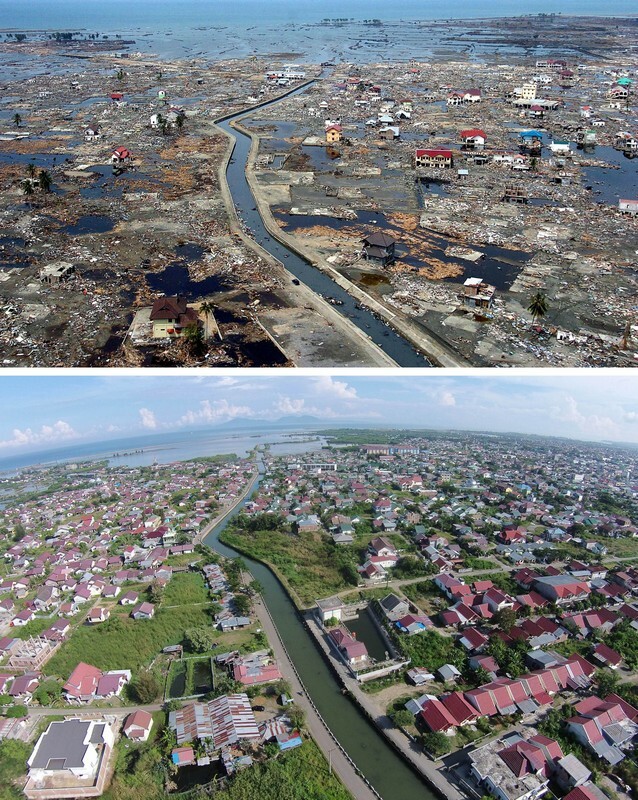 One month after the disaster, tsunami-hit countries announce rebuilding strategies, thanks in part to a massive US$4 billion pledged in global aid. 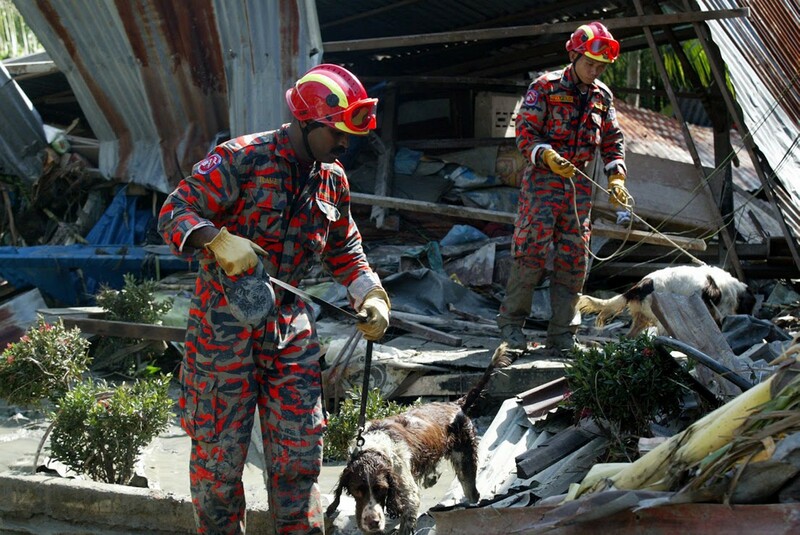 Over the next few months, more bodies would be recovered, taking the death toll to over 226,000, including 19 Singaporeans. 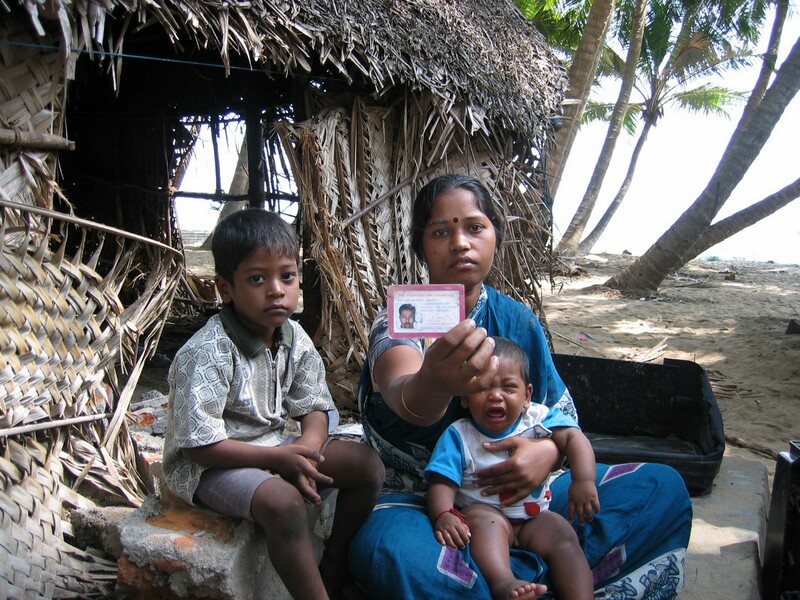 Ms M. Indira mourns the death of her relative who was killed in a tsunami in Cuddalore, south of the southern Indian city of Madras, on Dec 28, 2004. 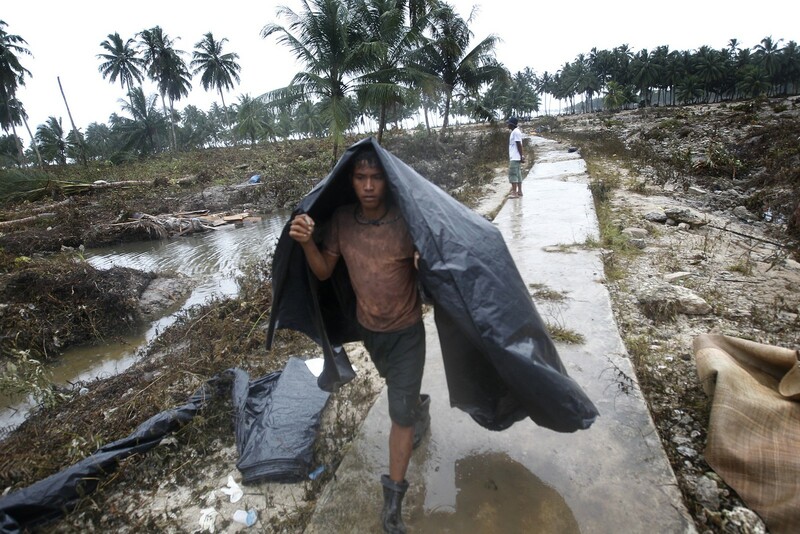 Residents in the tsunami-ravaged Indonesian town of Leupung in Aceh carry bodies to a freshly dug grave. 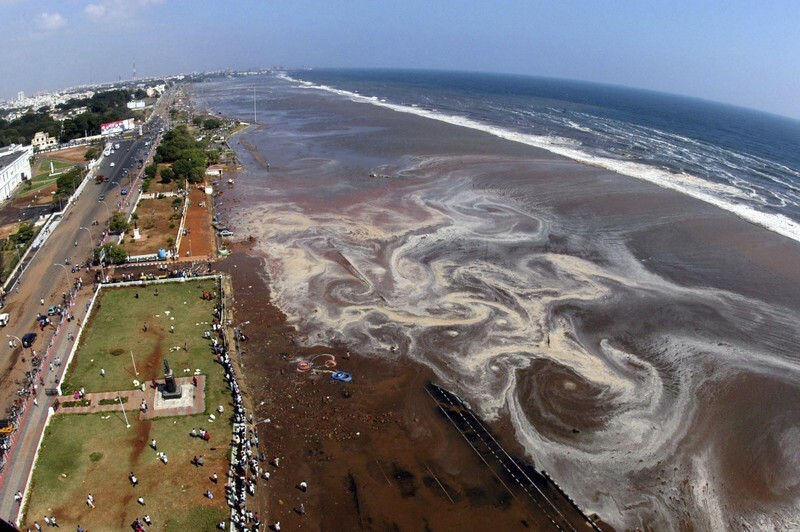 The aerial view of Marina beach after a tsunami triggered by an earthquake in the Indian Ocean hit the area in the southern Indian city of Madras in this December 26, 2004 photo. 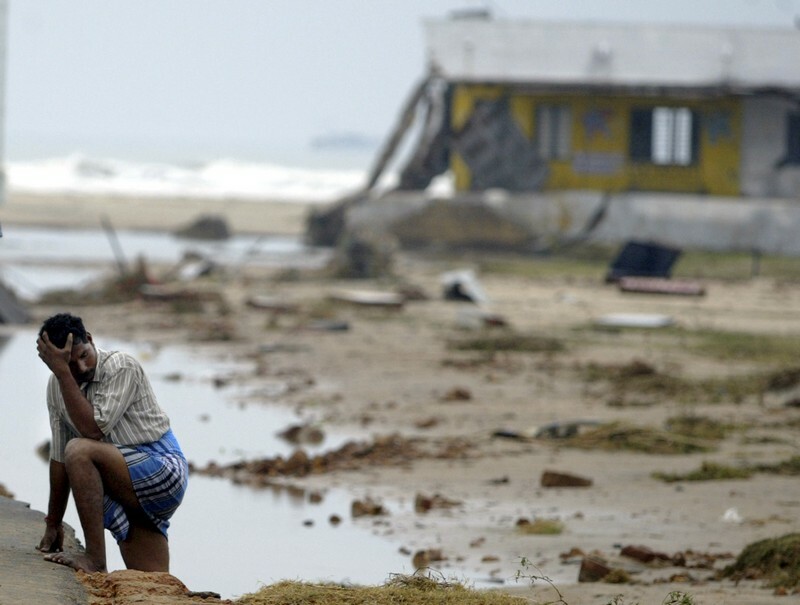 A man reacts next to a building that was destroyed when a tsunami hit in Cuddalore, southern India. 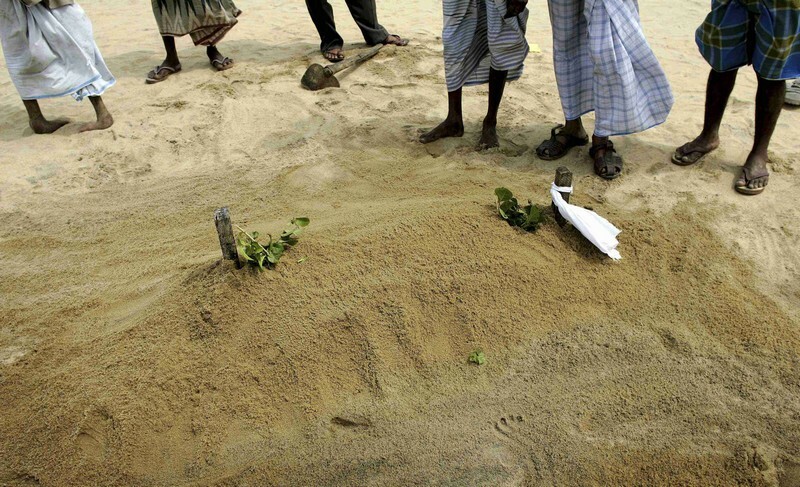 Muslims stand and pray at the grave of a young girl buried on Kalmunai beach following the December 26 tsunami in Sri Lanka. 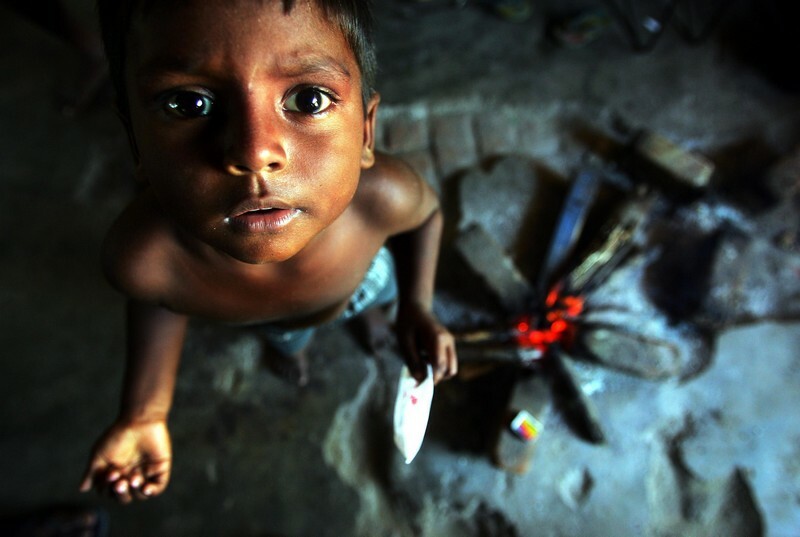 Idusan, 9, a Sri Lankan tsunami survivor, looks at the camera at a shelter for displaced tsunami survivors. 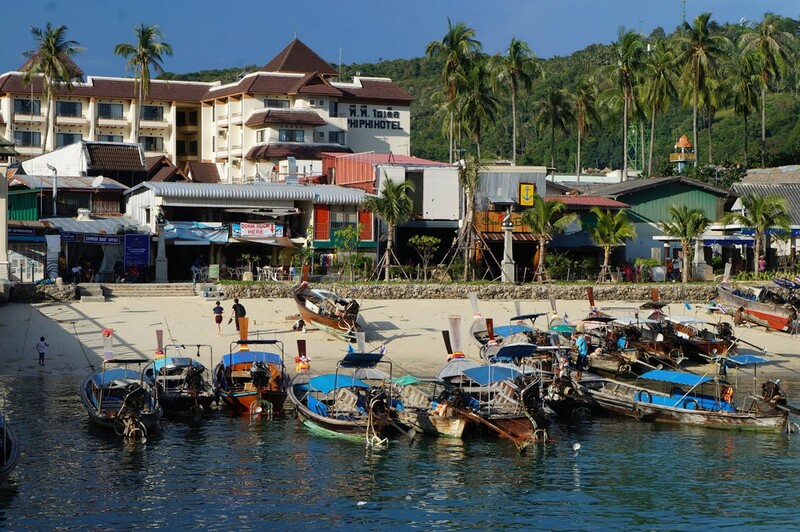 An injured tourist is sent to a hospital after the tsunami hit Phuket. 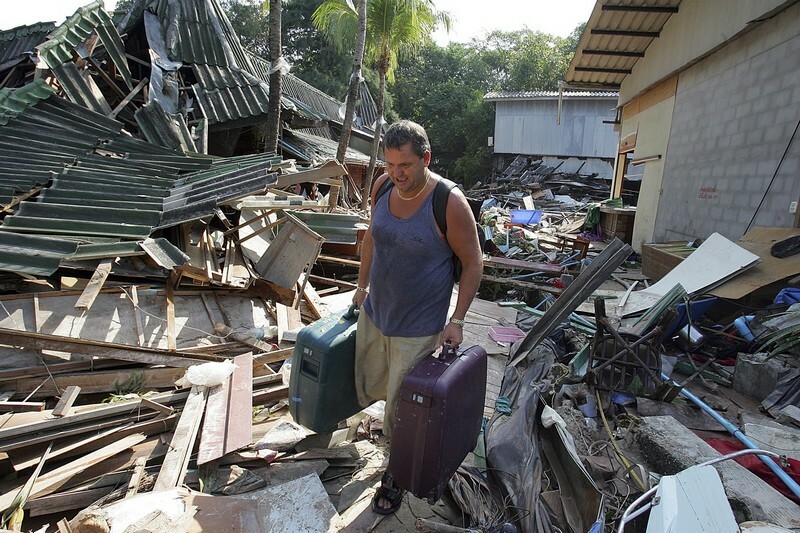 Michael Will from England walks among the ruins of his flattened hotel after returning for his luggage, following devastation caused by tidal waves at Pathong beach, near Phuket. 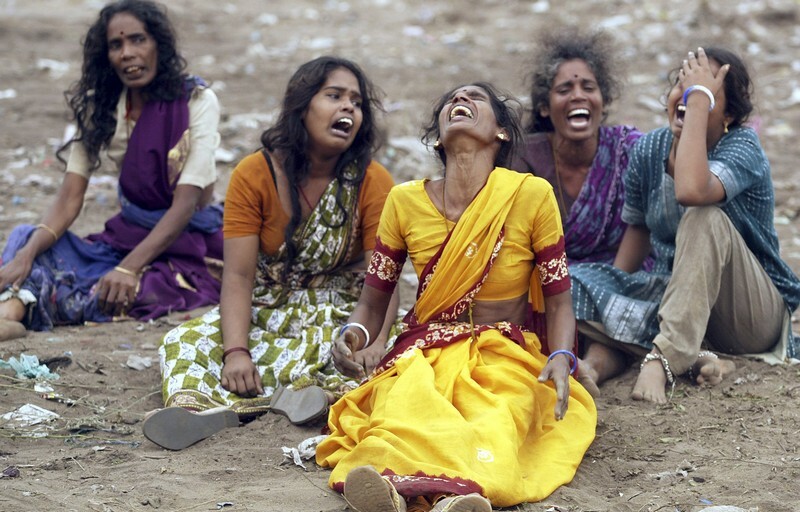 Women mourn during the burial of victims killed in a tsunami in Cuddalore, southern India. 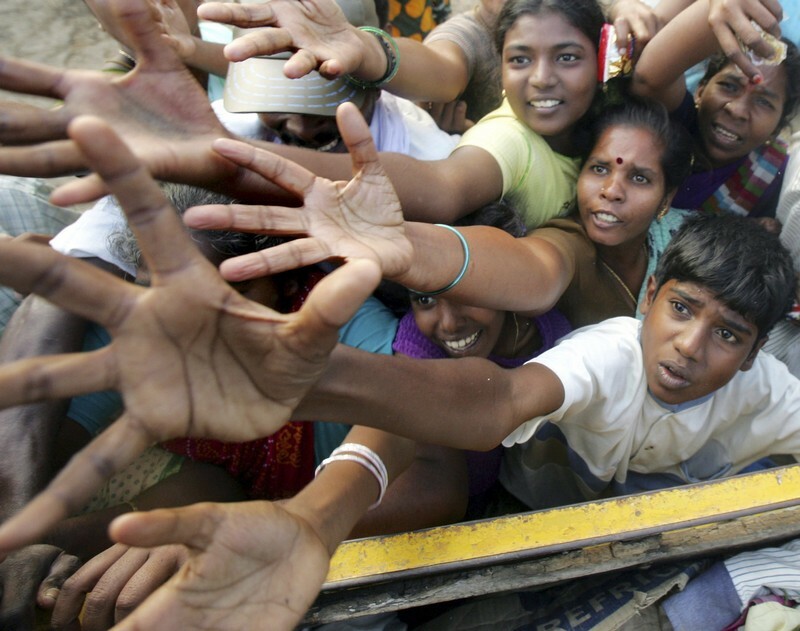 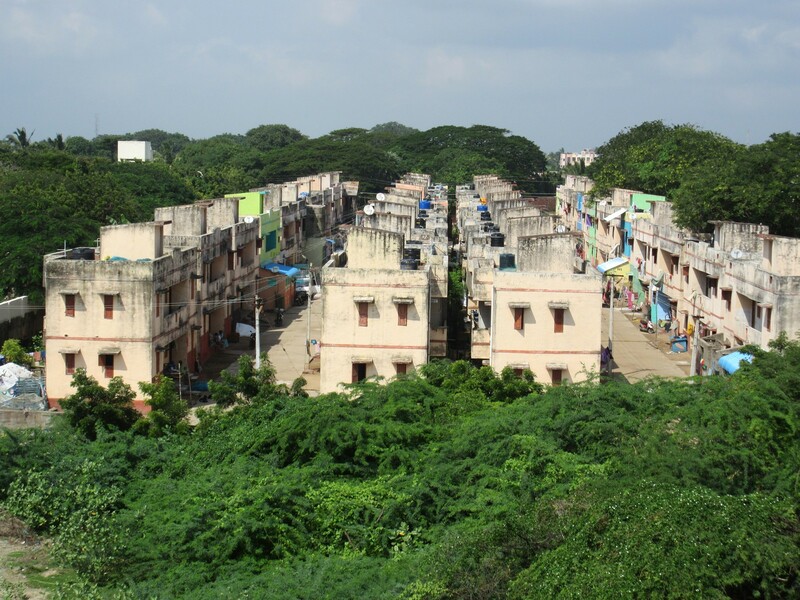 Tsunami survivors rush for clothes and food donated by volunteer organisations in Cuddalore. 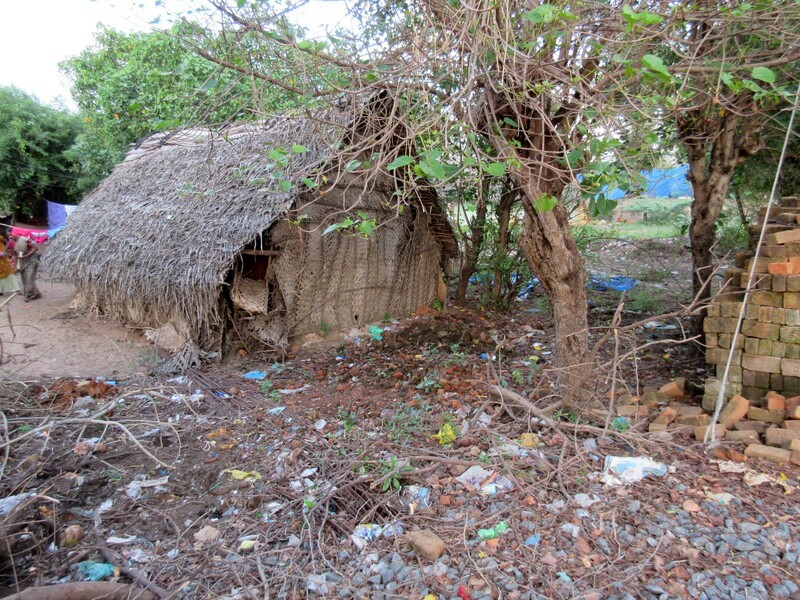 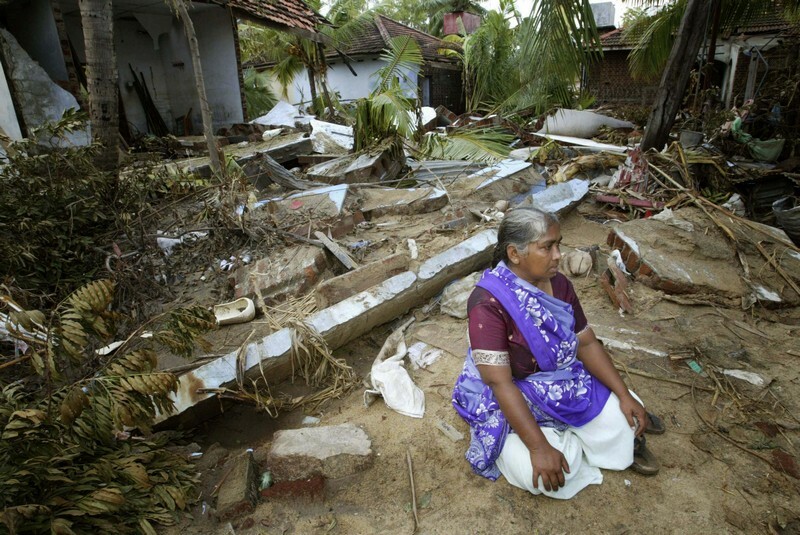 A Sri Lankan woman sits in front of her destroyed house in Kalmuni on December 30, 2004, after it was destroyed by the tsunami. 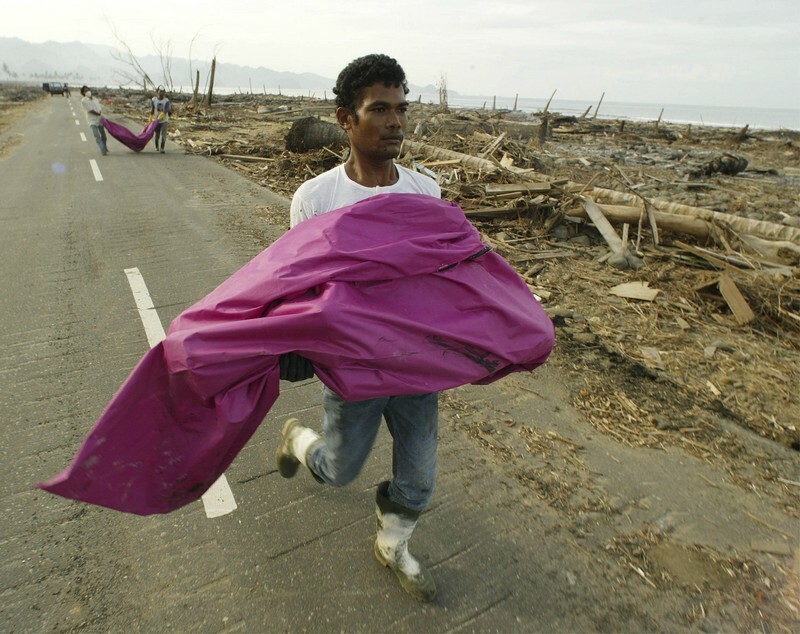 A Buddhist monk looks at a wrecked carriage after an entire train was destroyed by the Dec 26, 2004 tsunami in the town of Paraliya, Sri Lanka. 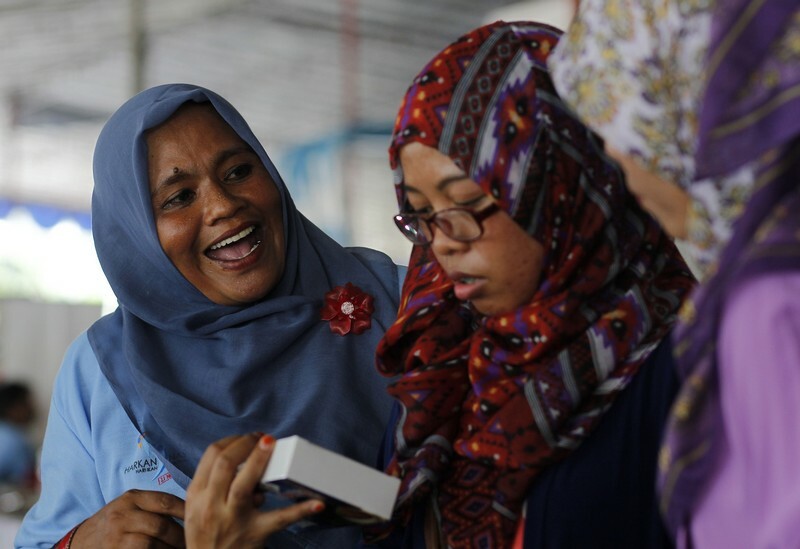 Tsunami refugees receive supplies distributed by the USS Abraham Lincoln Carrier Strike Group in Banda Aceh, Indonesia. 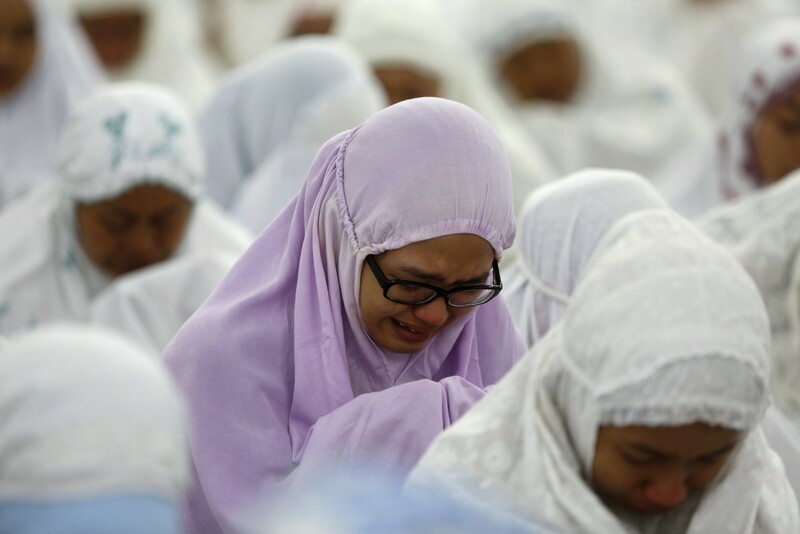 Sri Lankan Muslims pray for an identified infant killed in the tsunami. 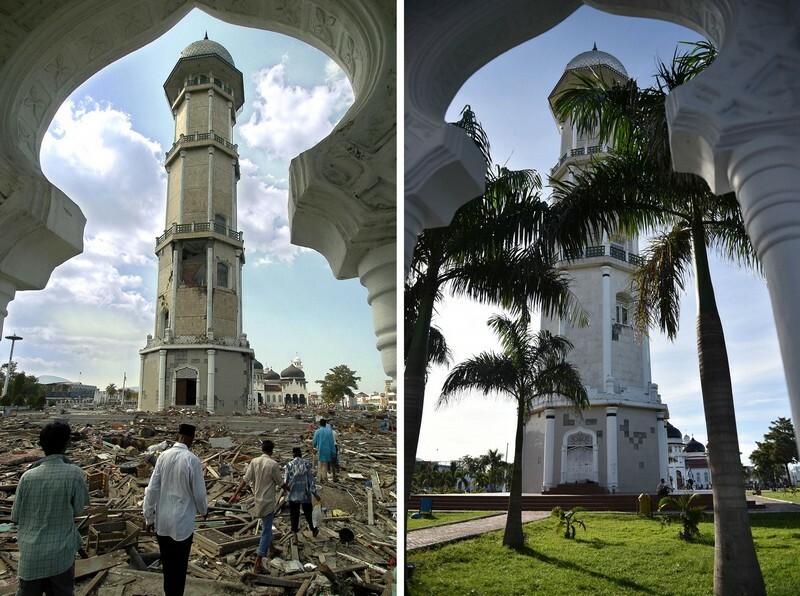 Debris scattered across the grounds of Banda Aceh's Baiturrahaman mosque in Aceh province, located on Indonesia's Sumatra island. 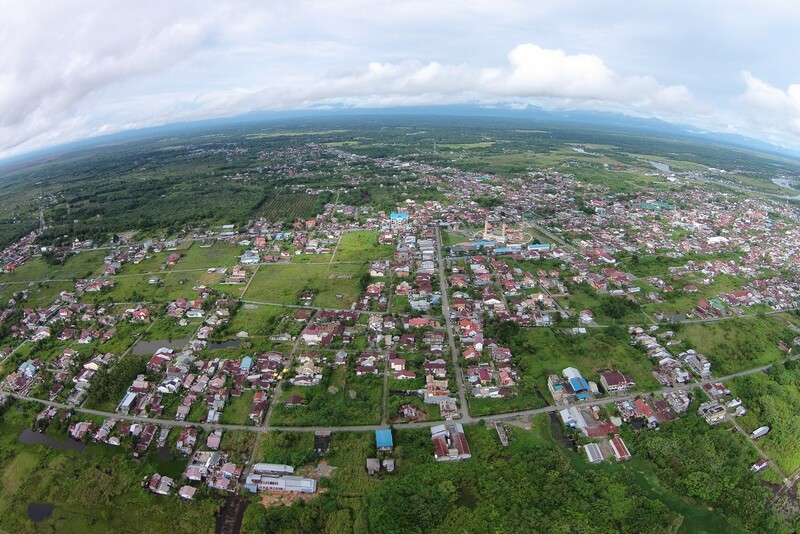 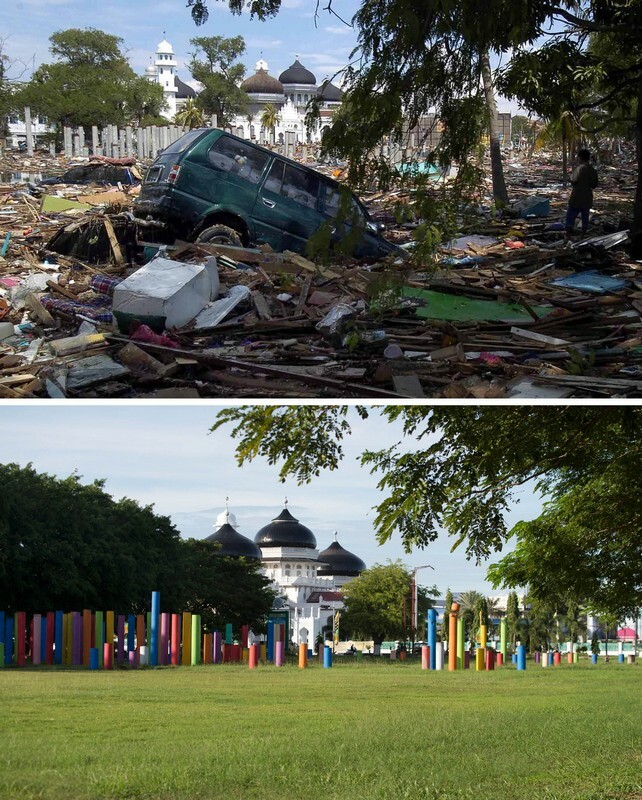 The devastated district of Banda Aceh in Aceh province, Sumatra in the aftermath of the massive December 26, 2004 tsunami (top), and the same location photographed on December 1, 2014 (bottom). 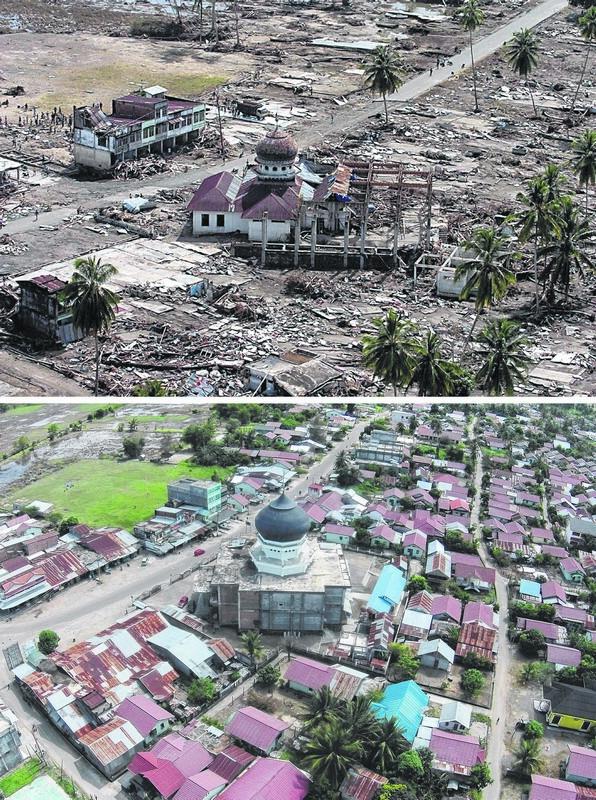 Residents walking over huge pile of debris covering the street of Banda Aceh, where surrounding houses and buildings were heavily damaged and coastal villages wiped out in the aftermath of the massive December 26, 2004 tsunami (L), and the same location photographed on November 27, 2014 (R). 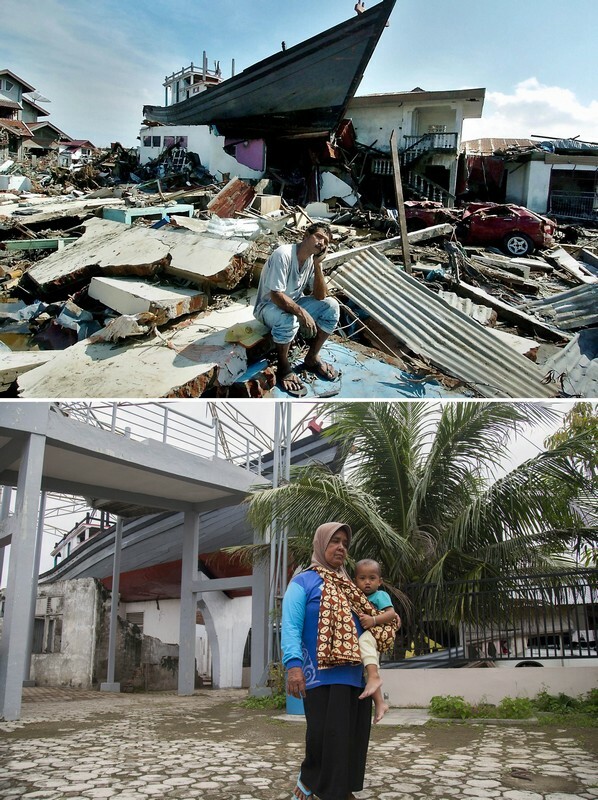 Photo from January 15, 2005 of a boat on top of a destroyed house in Banda Aceh, and the same location today. 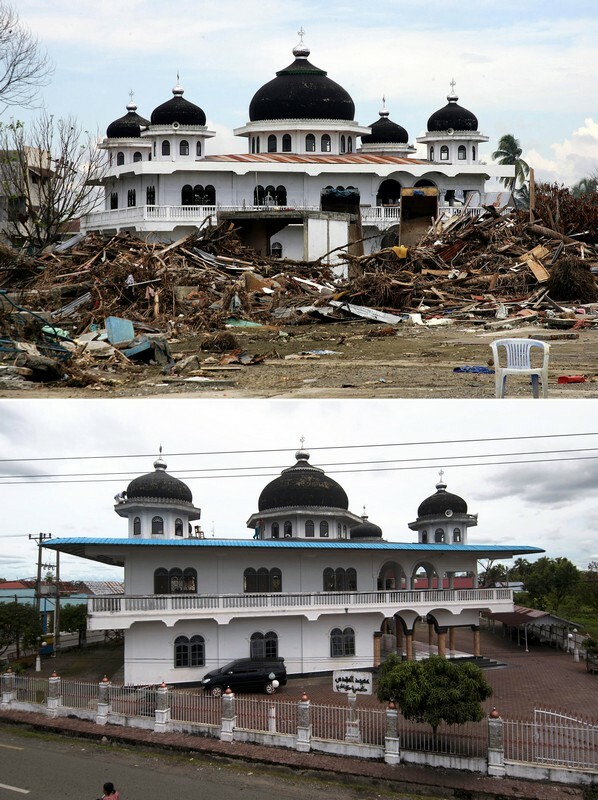 A damaged mosque in Teunom, located in the Aceh Jaya district, on Jan 2 2005 after it was damaged by the tsunami (L), and the same location on December 1, 2014 (R) showing the renovated mosque surrounded by new houses and rebuilt community. 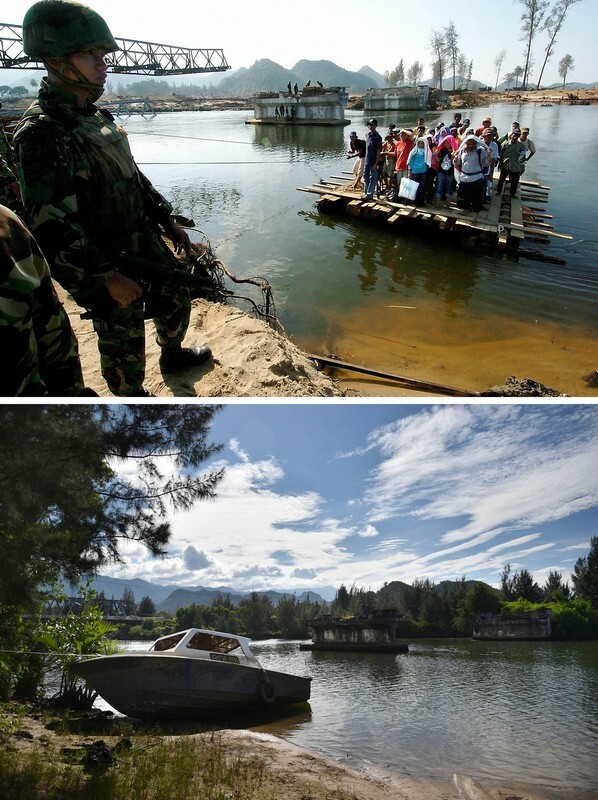 Residents using an improvised raft to cross a river as an Indonesian soldier guards the area in Lhoknga in Aceh province on Jan 23, 2005 (top) and the same location photographed on November 29, 2014 (bottom) showing the abandoned site and a new bridge constructed nearby. 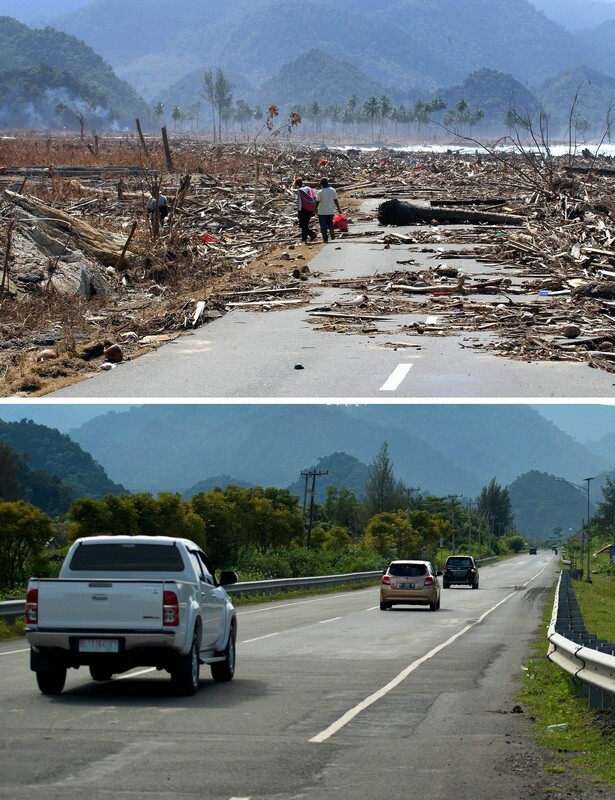 The impassable main coastal road covered with debris in Aceh Besar district, in Aceh province, Sumatra, on Jan 9, 2005 (top) where surrounding houses and buildings were heavily damaged by the tsunami, and the same location photographed on November 29, 2014 (bottom) showing the new highway. 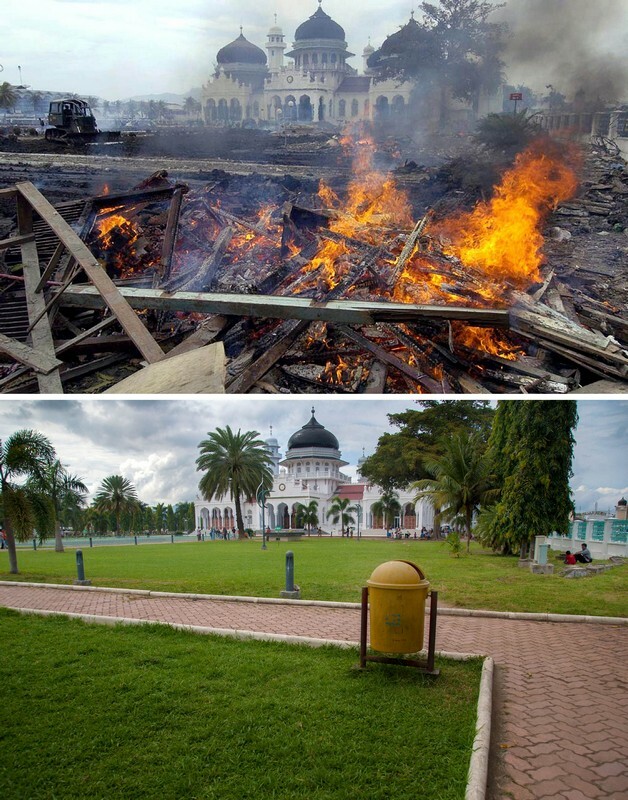 Workers burning debris as they clean up downtown Banda Aceh on Dec 30, 2004, after the tsunami (top), and the same location photographed on December 6, 2014 (bottom). 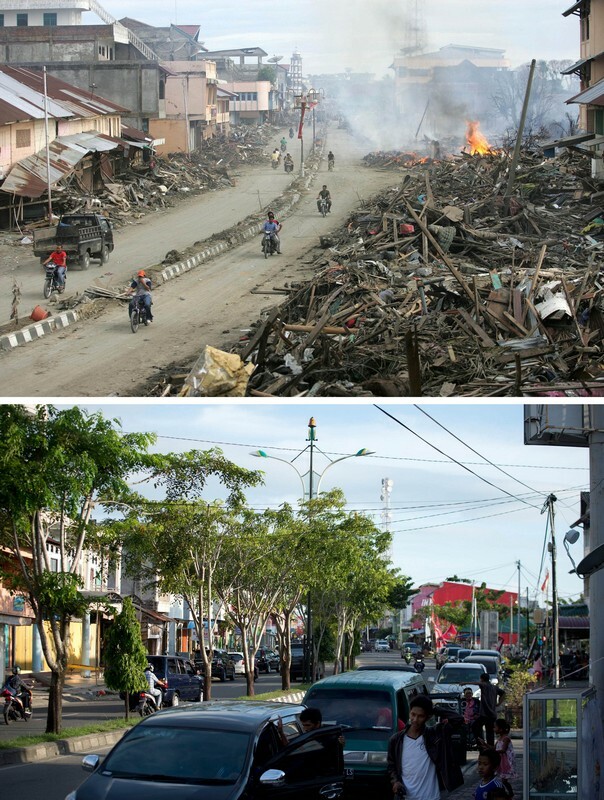 A street cleared but with huge pile of debris on either side, in Meulaboh, Aceh province on Sumatra on Jan 9, 2005 (top) and the same location photographed on November 29, 2014 (bottom). 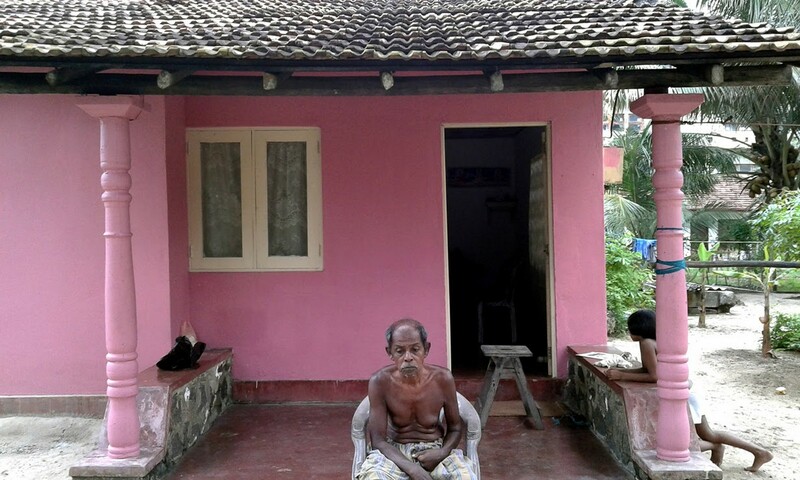 The train was rebuilt after the tsunami and since then Karunatilleke, who is still head guard, stops at the exact same spot every year on December 26 to pay his respects to his departed passengers. 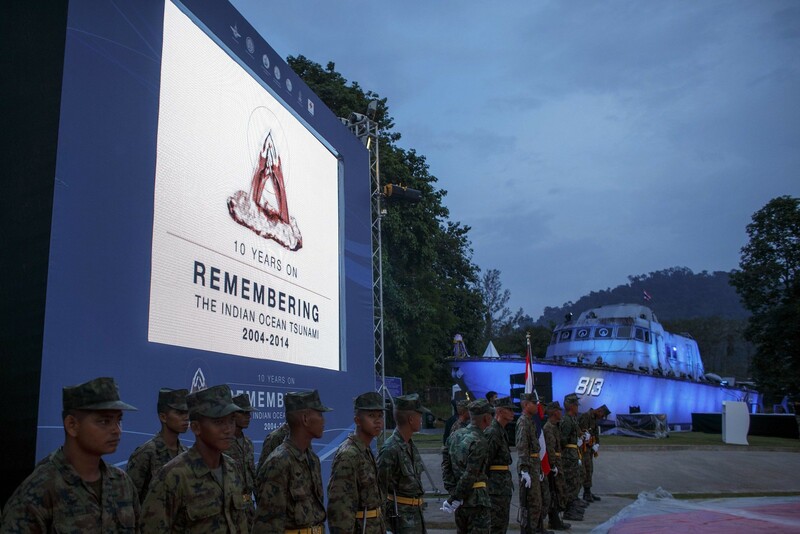 This year will be particularly significant, with the Colombo to Matara train making a special journey for passengers to attend Buddhist, Hindu, Christian and Muslim ceremonies planned to mark the 10th anniversary of the disaster. 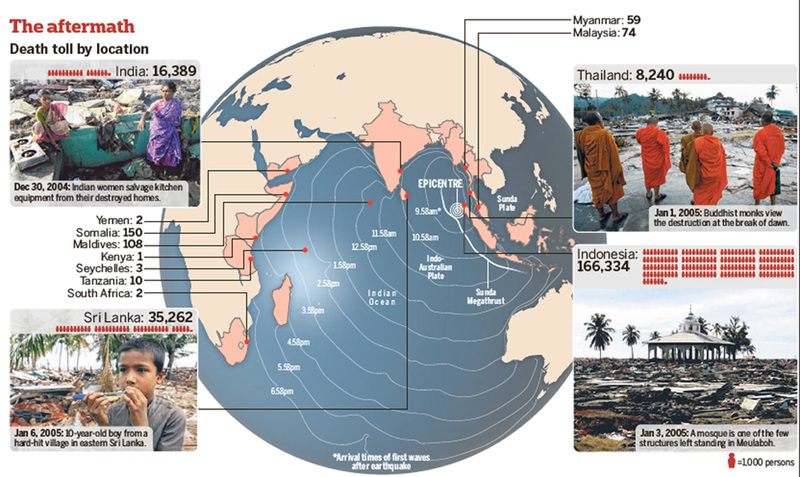 The tsunami wave first hit Sri Lanka's southeastern coast, travelling across the island at an average speed of about 500 kilometres (300 miles) an hour and killing 31,000 people in a single hour. 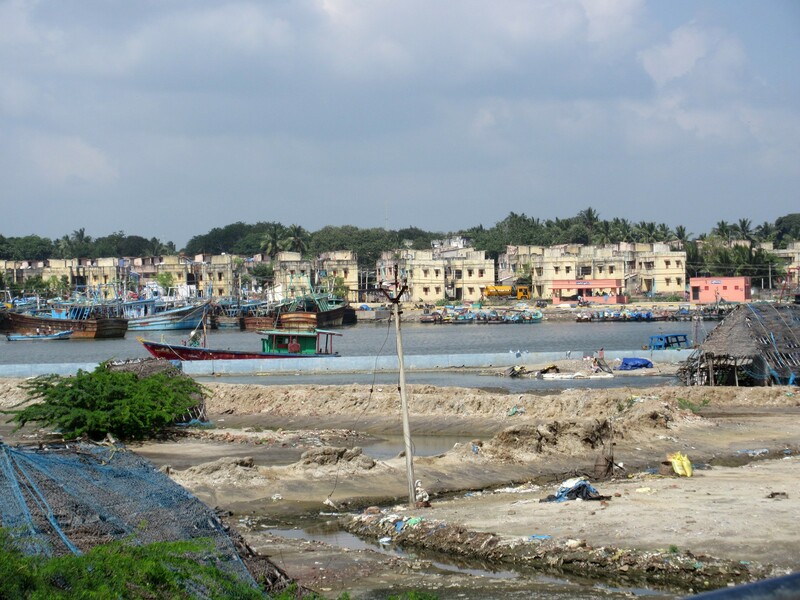 Sri Lanka had not been hit by a tsunami in living memory before 2004 and the tragedy became the country's worst natural disaster. 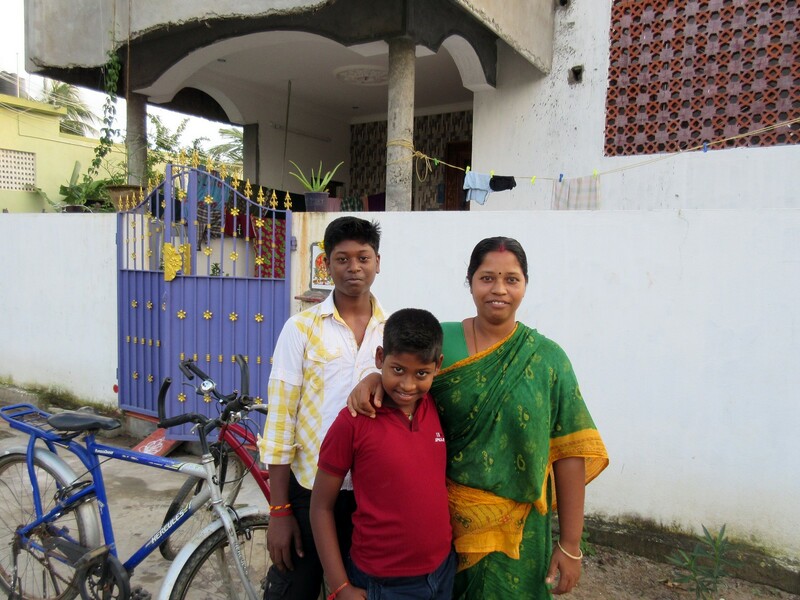 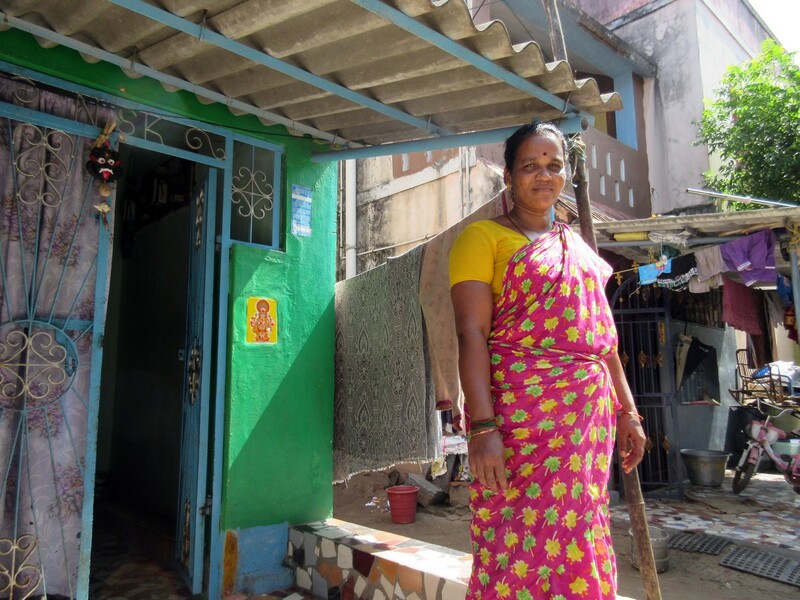 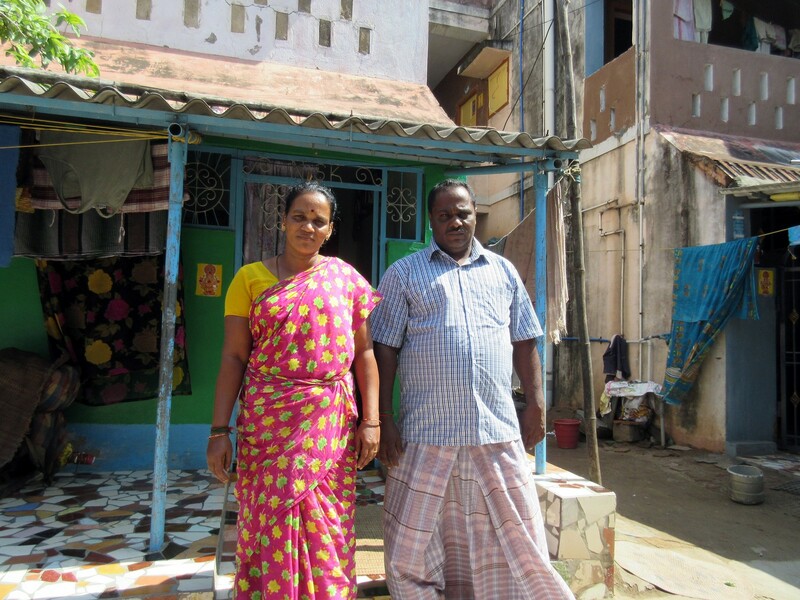 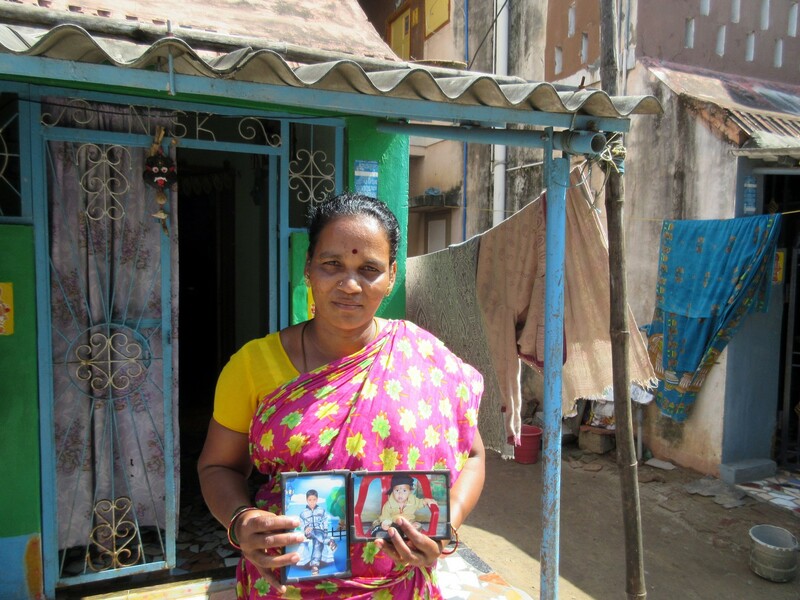 The memories still haunt Karunatilleke, who recalls rescuing a small girl and boy from the floodwaters and placing them inside a train compartment only to see it smashed minutes later. 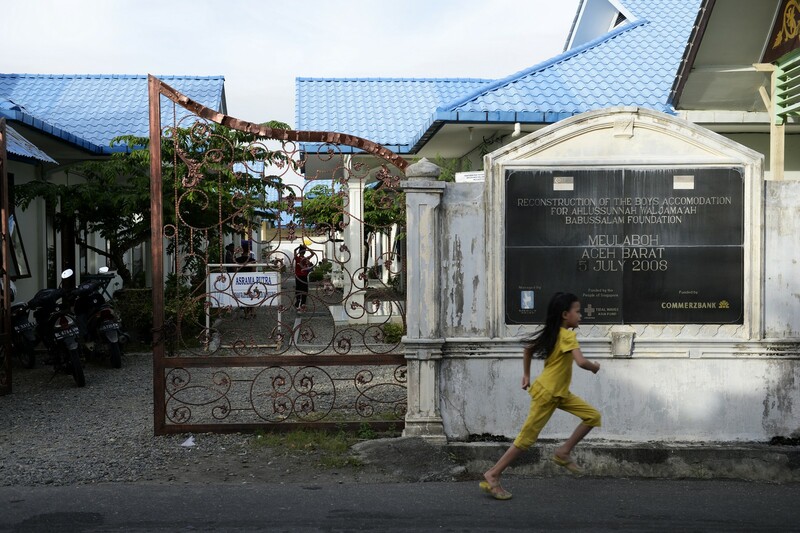 "I will remember those two children for the rest of my life" he said. 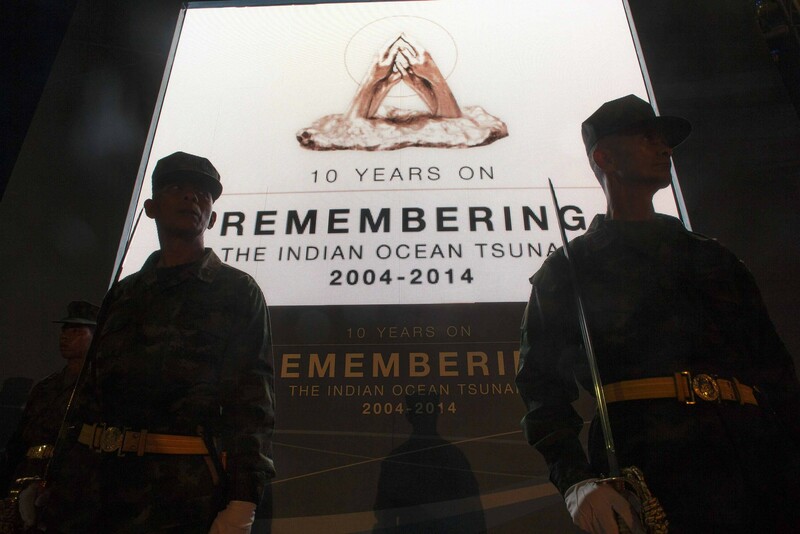 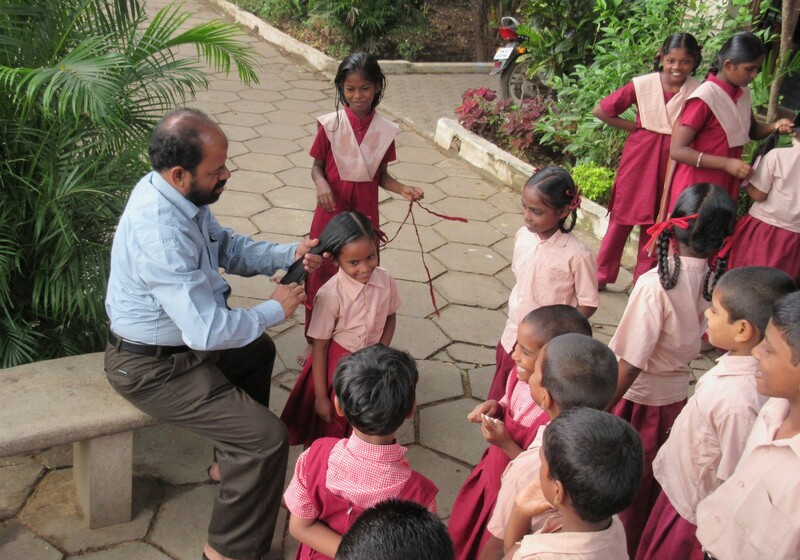 "I did not know about tsunamis then and neither did anyone else on board. 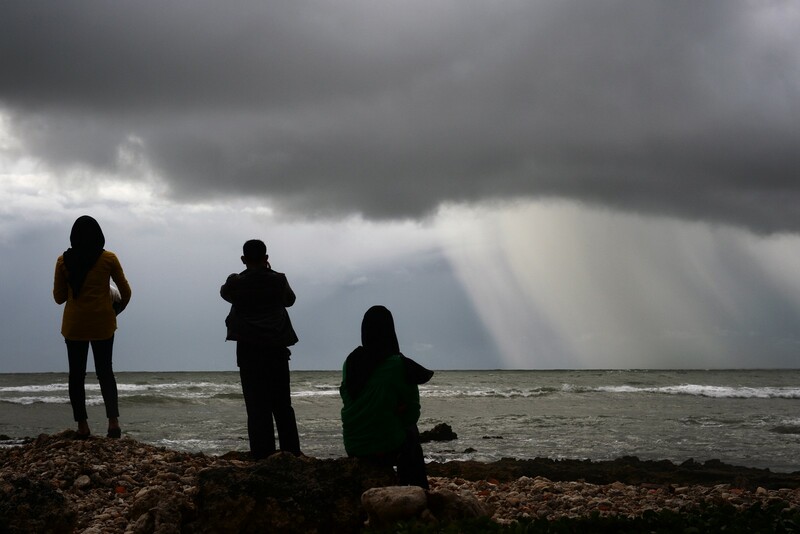 "I wish I had known.... 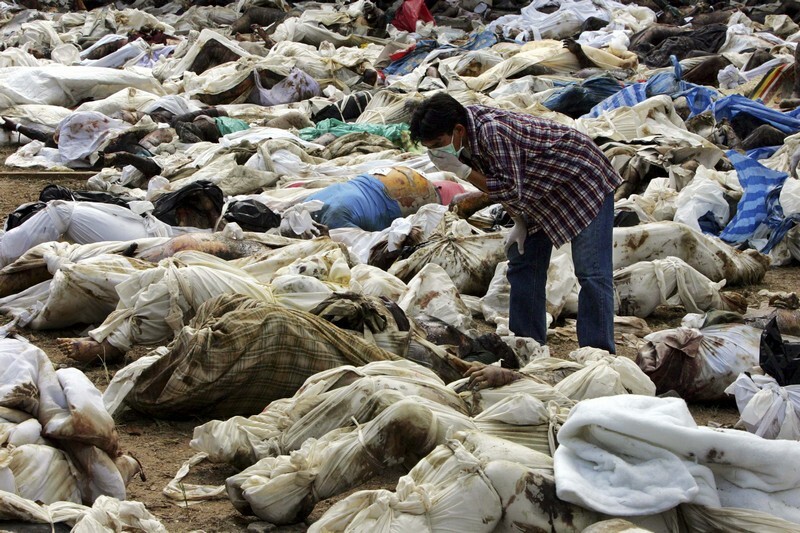 I really feel bad that I was not able to save those lives."